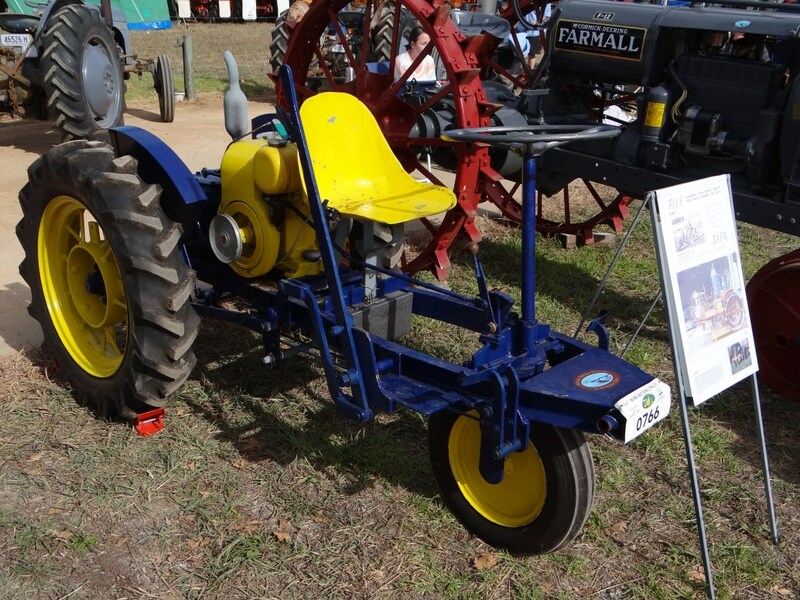 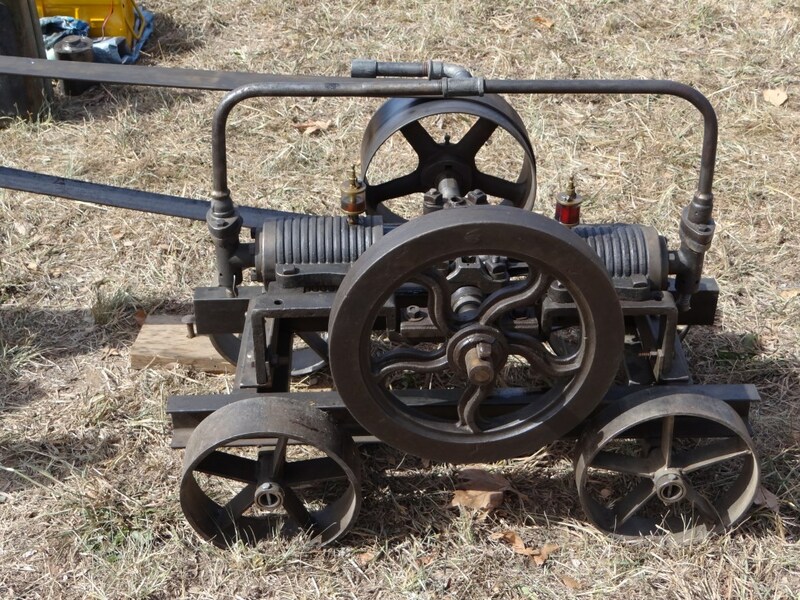 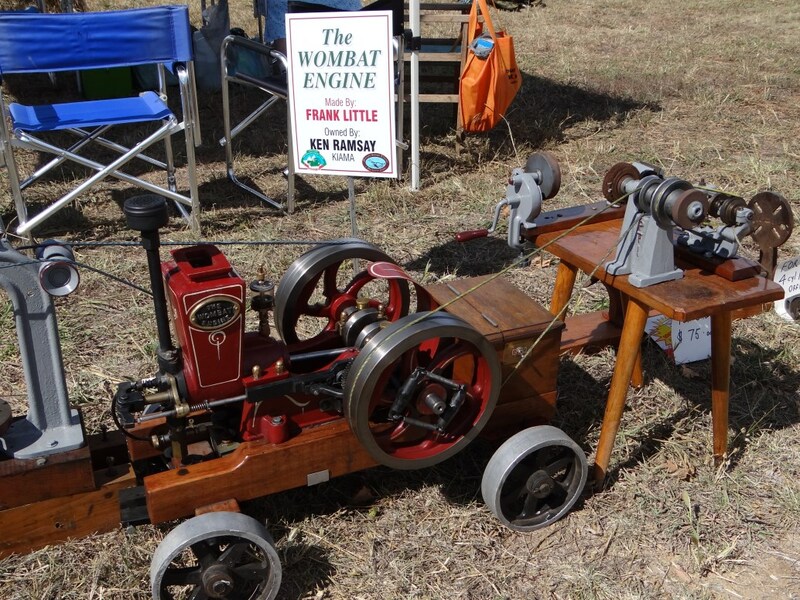 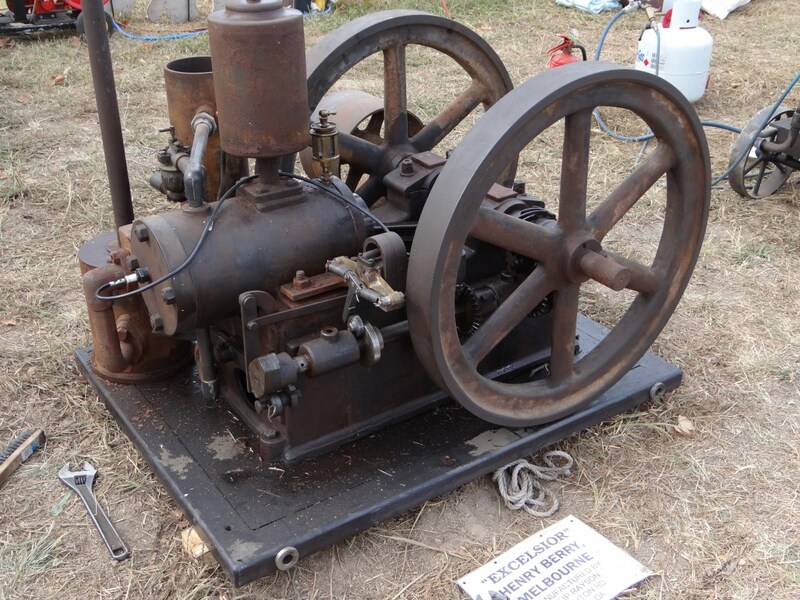 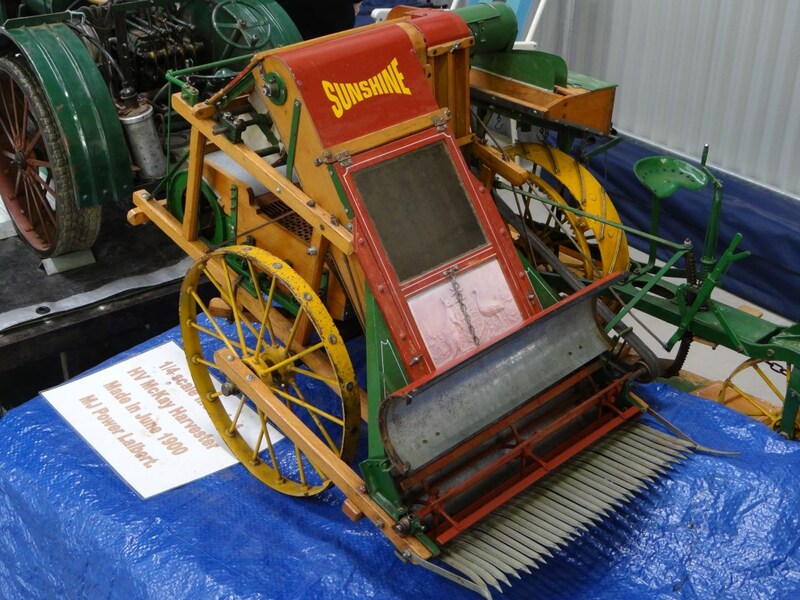 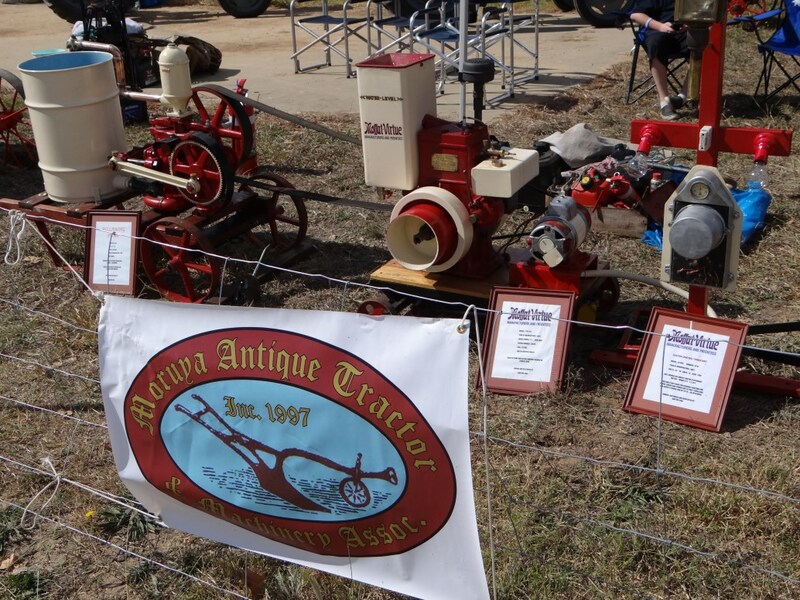 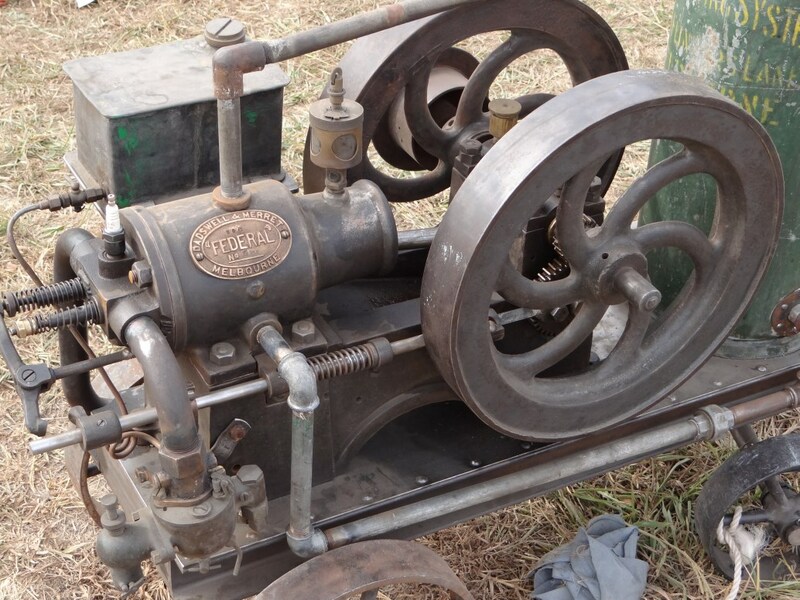 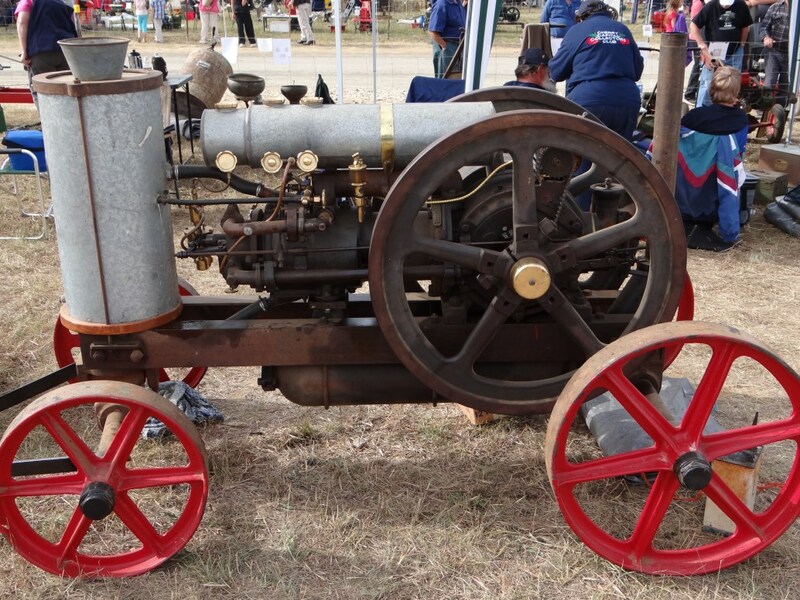 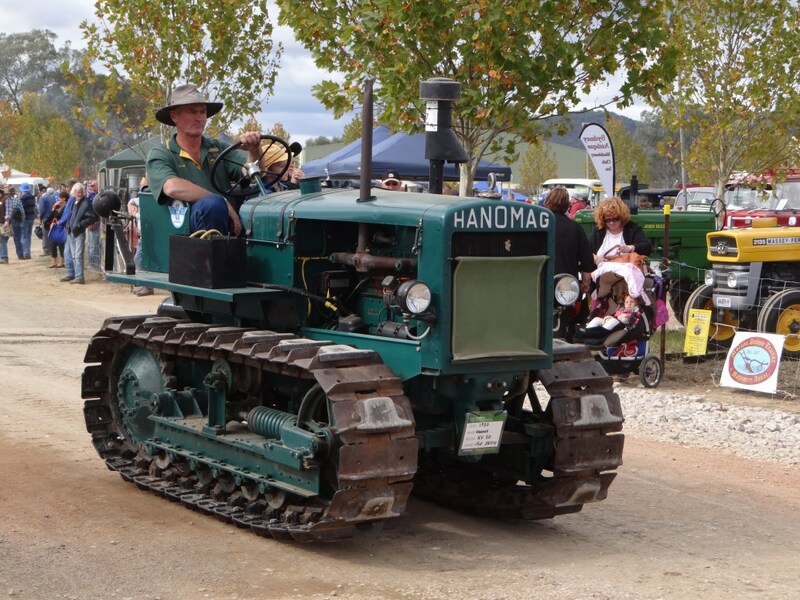 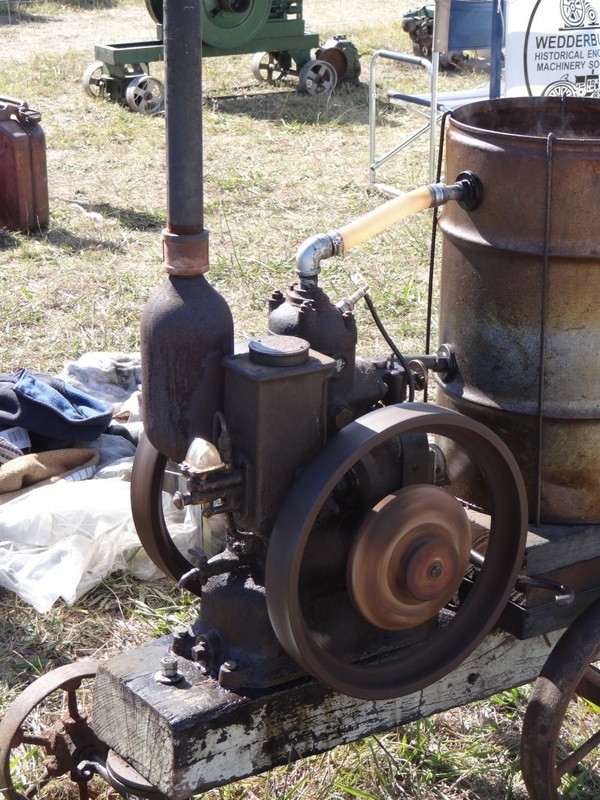 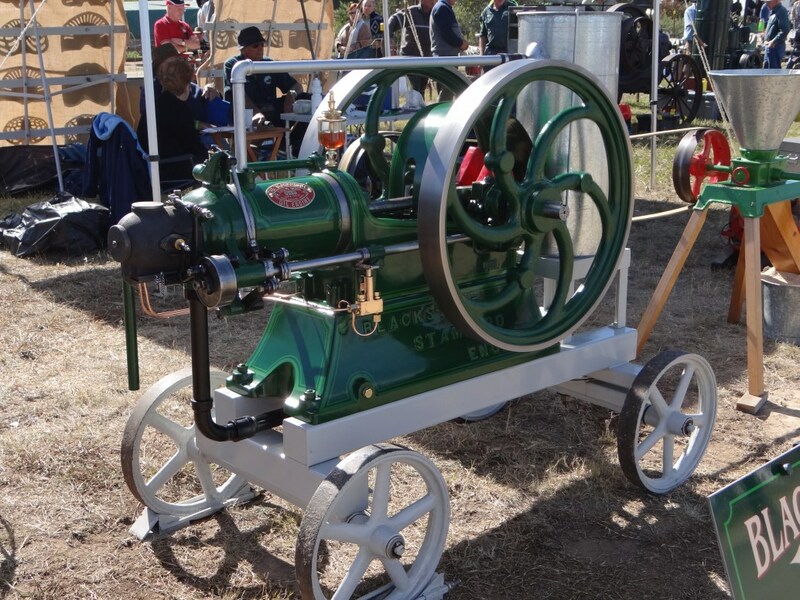 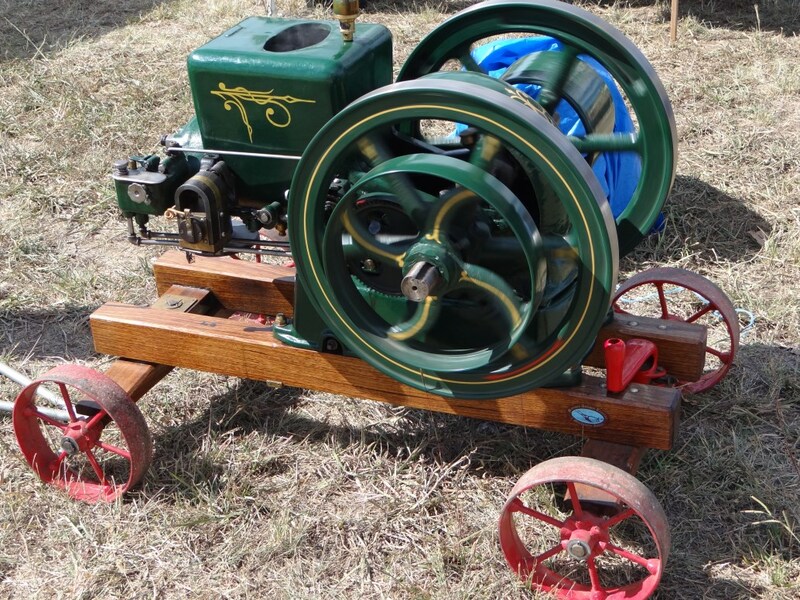 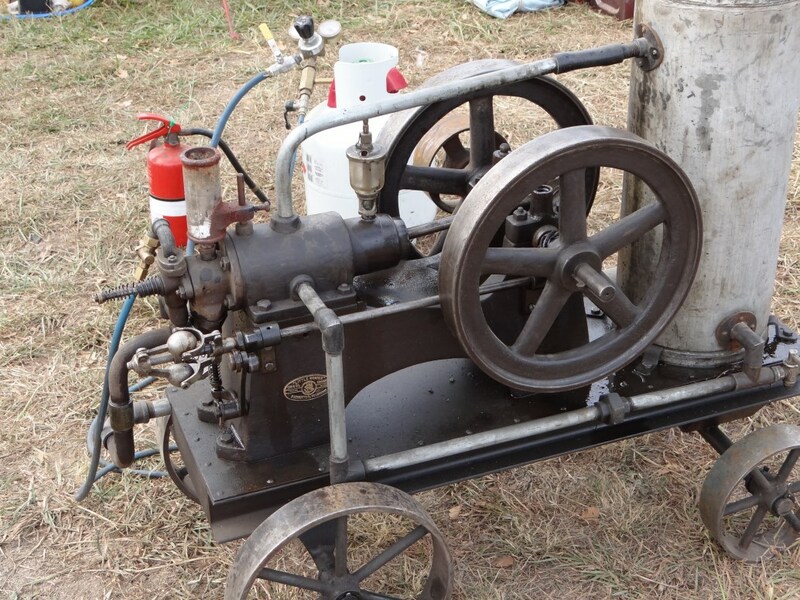 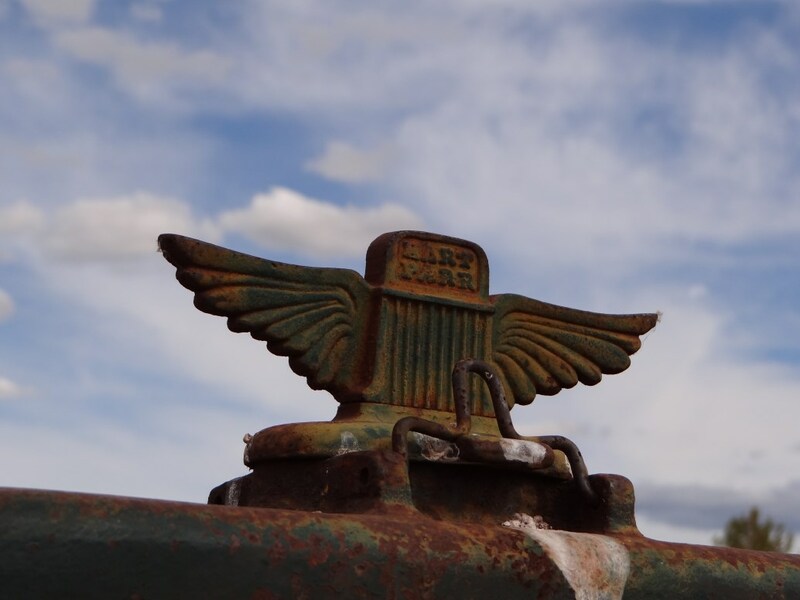 MATAMA @ the National - Moruya Antique Tractor & Machinery Assoc. 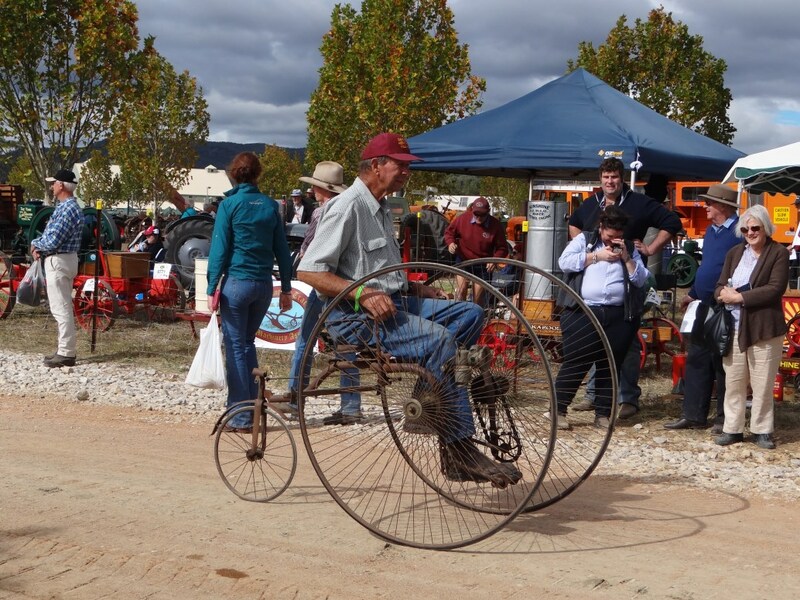 Inc.
MATAMA at the 14th National Rally, Mudgee. 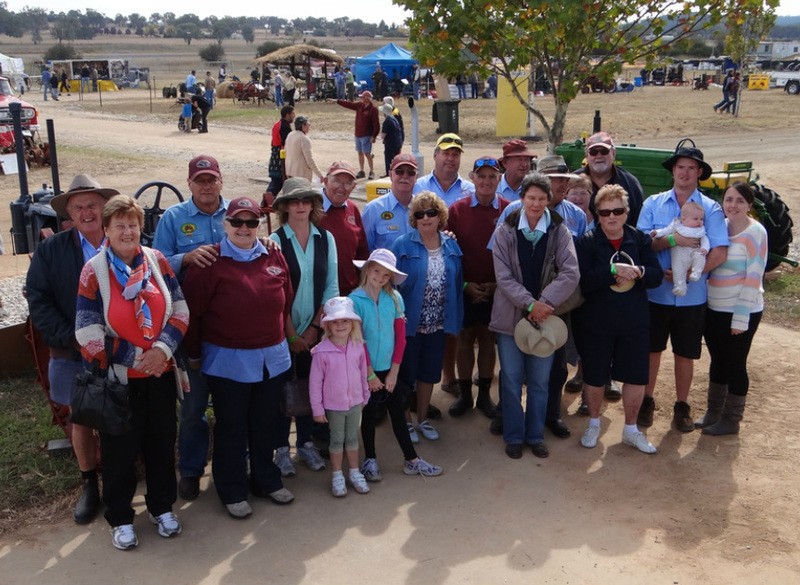 Most of the club attending the rally...(roughly) from left to right, Neville, Beverly, Rob, Sandy, Melissa, Kate, Rebecca, Mal, Quentin, Denise, John, Brian, Dave, Anne, Graeme, Marlene, Bob, Faye, Nelson, Cooper & Shawna. 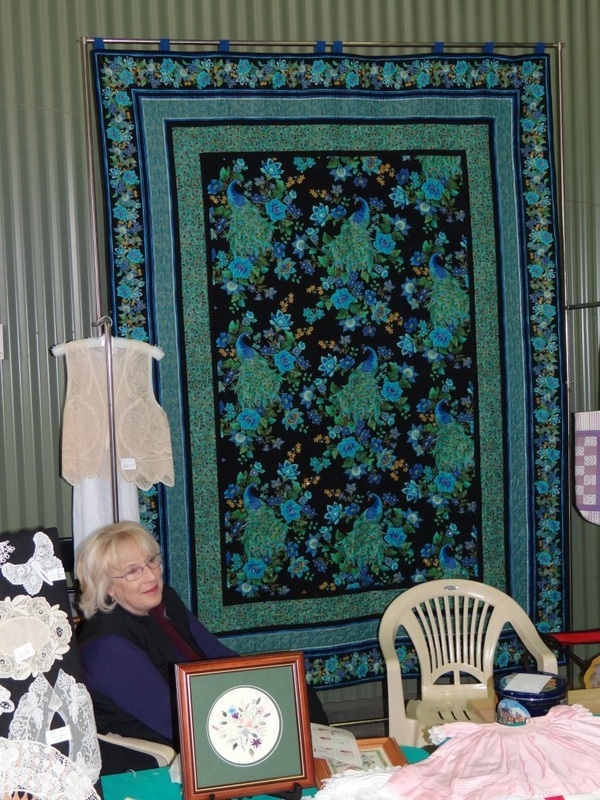 Also attending but busy elsewhere, were Mike, Maureen, Ruth, Ken, Gabrielle and Frank. 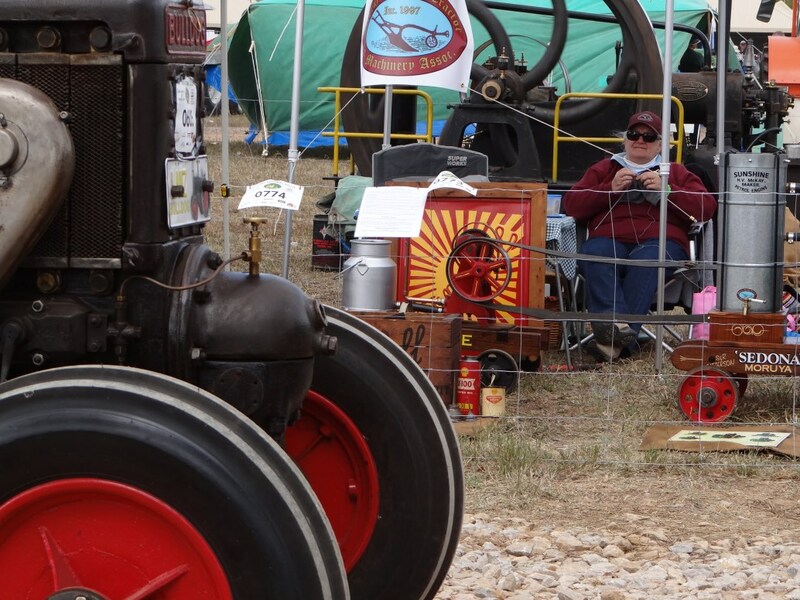 MATAMA was very well represented at the 14th National Rally. 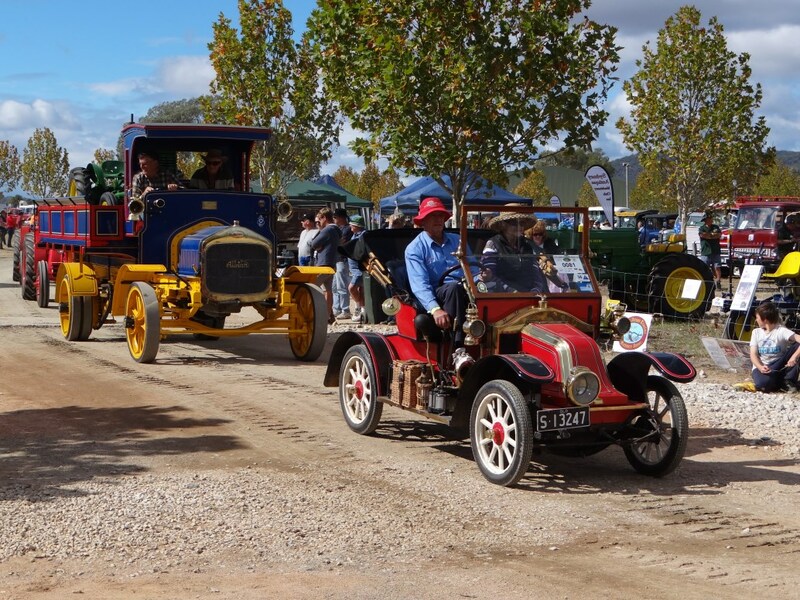 Held in Mudgee NSW over the 3 days 19th - 21st April, it was the biggest, and probably the best ever, National Rally. 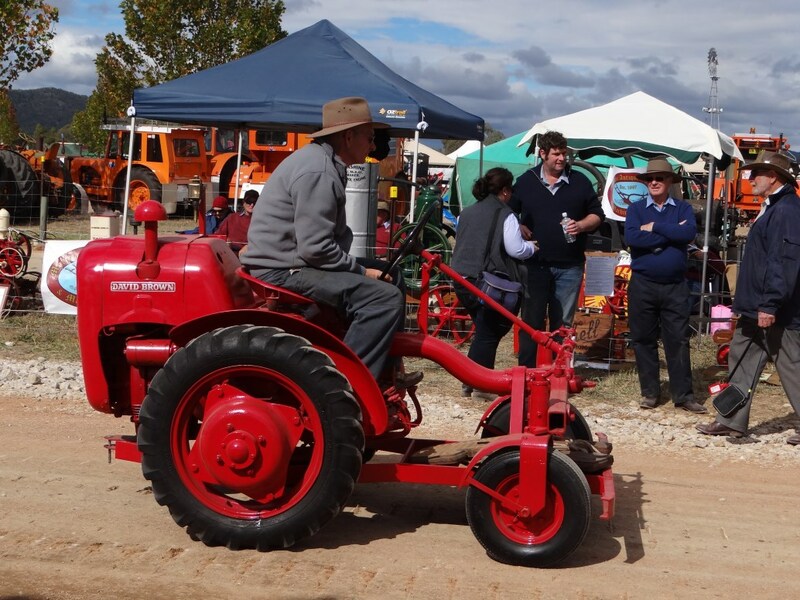 Hundreds of people stopped by our great display asking lots and lots of questions and MATAMA club-members who attended this awesome event should be very proud of their efforts. 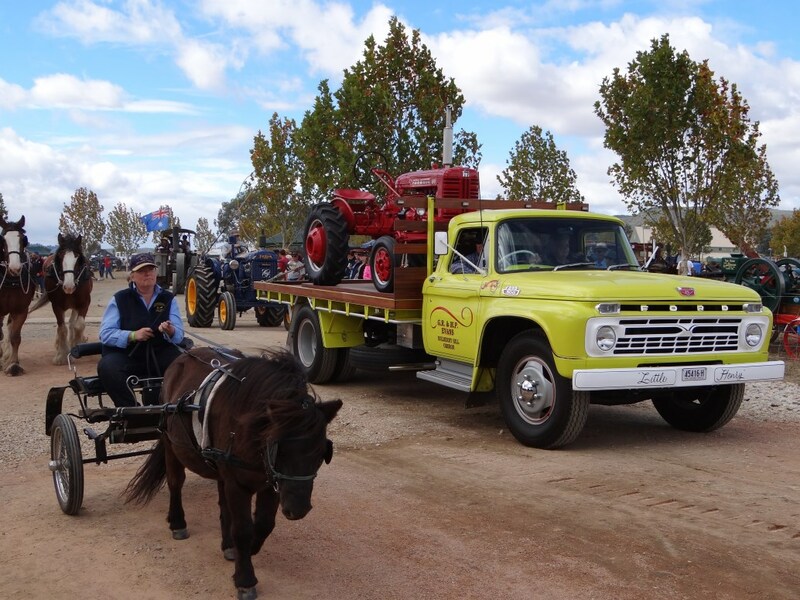 Every attending club-member put in a big effort for this special event and it showed. 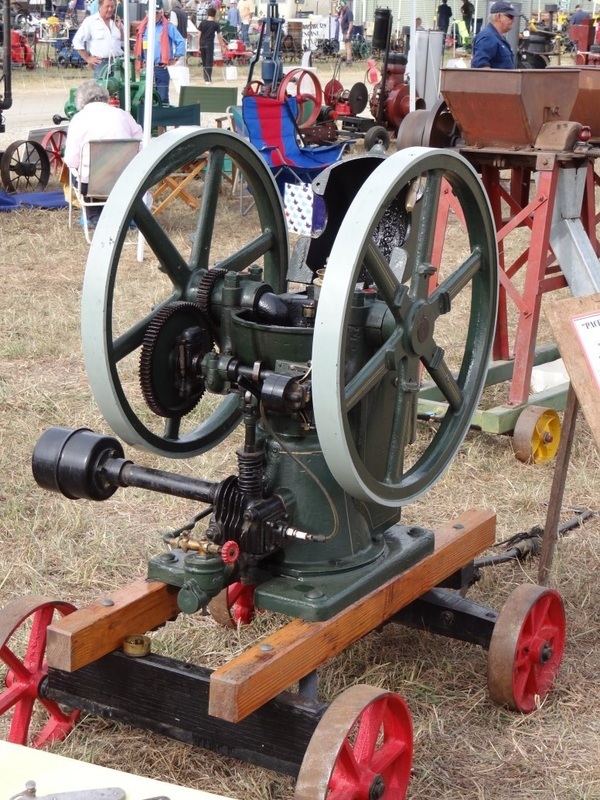 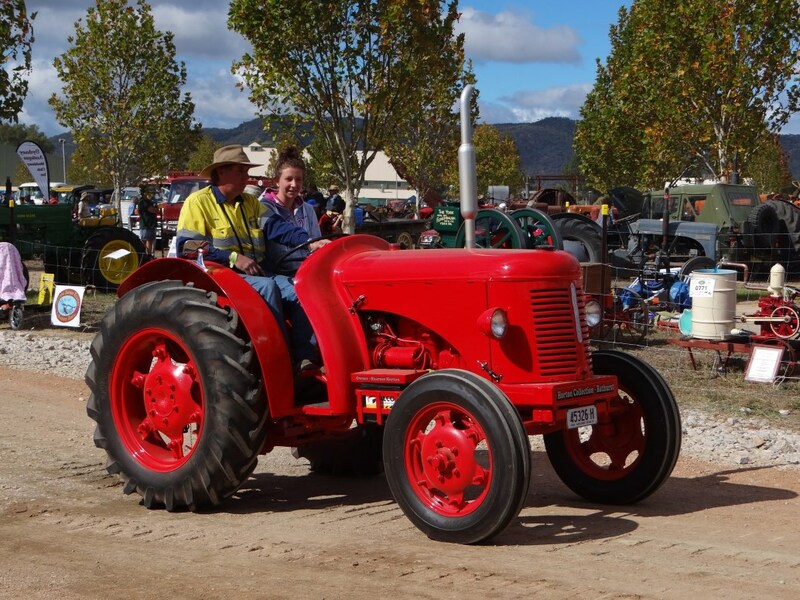 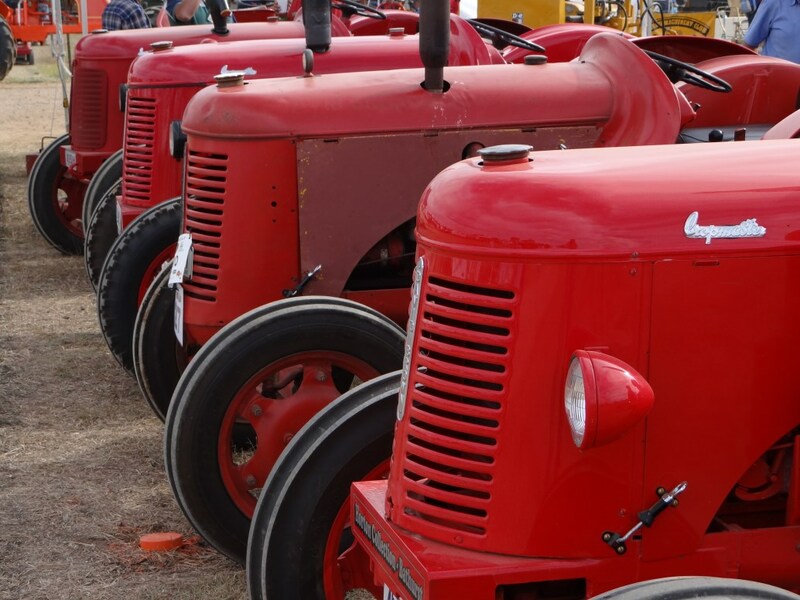 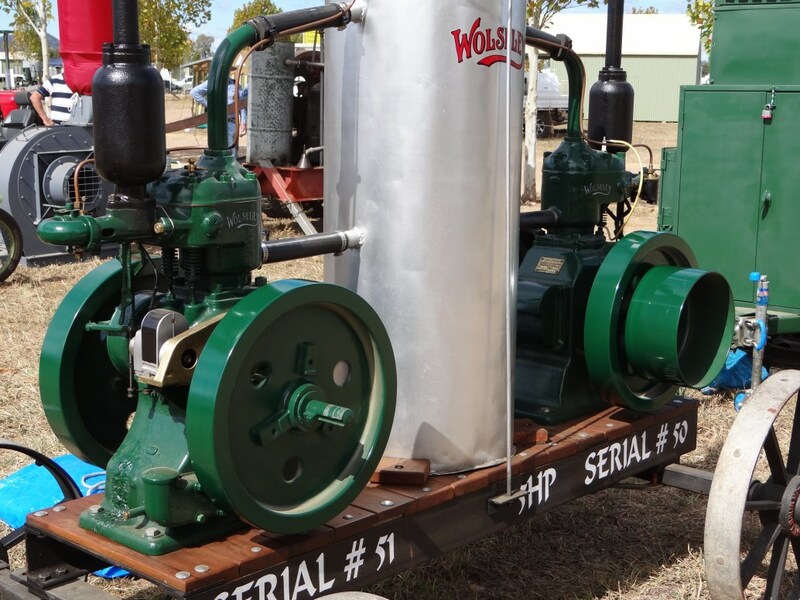 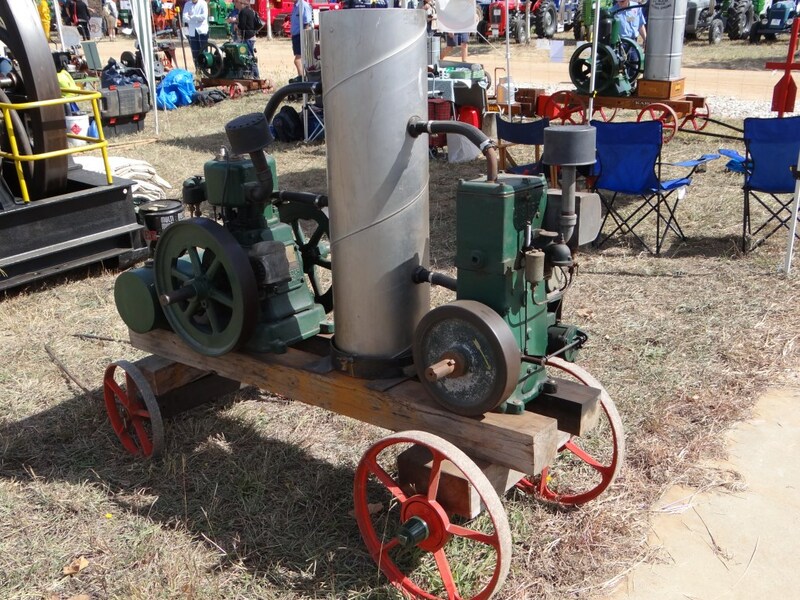 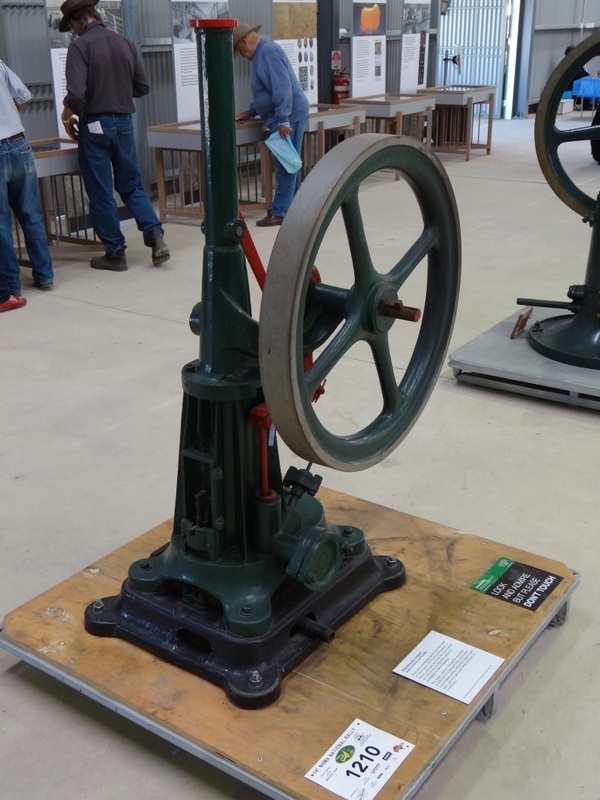 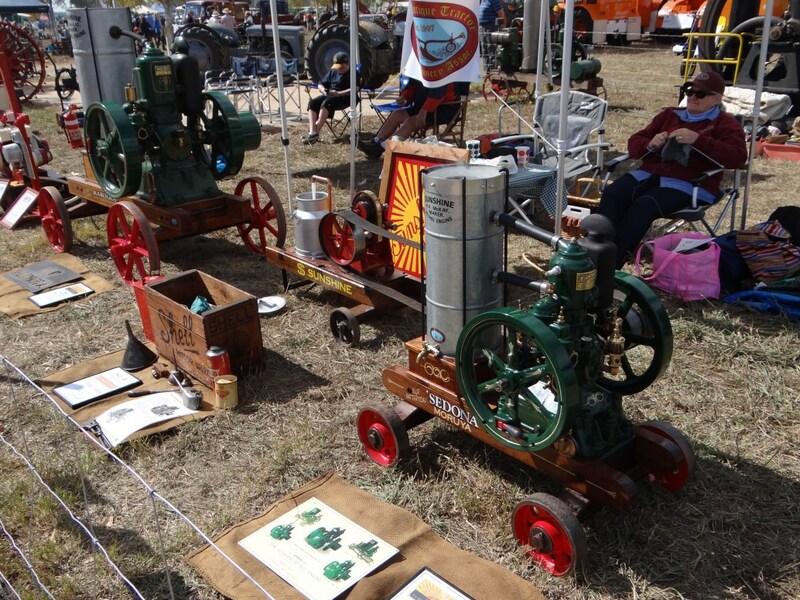 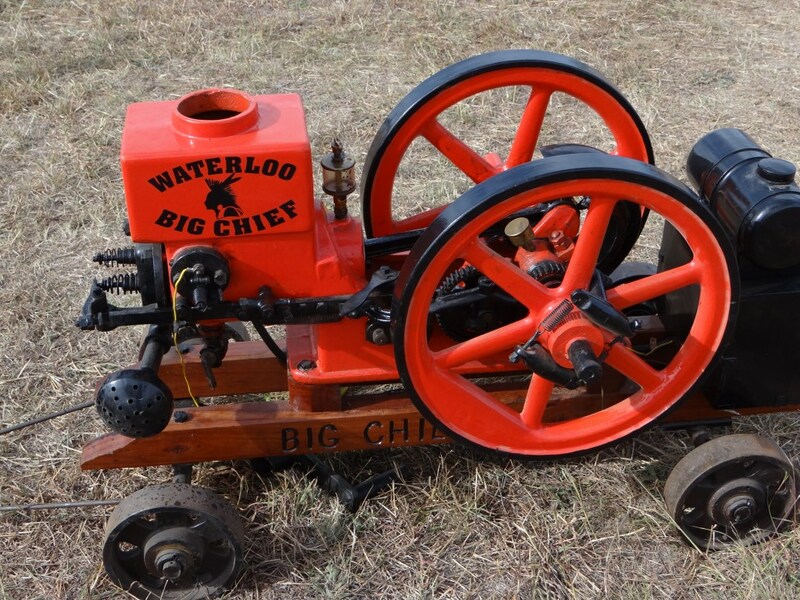 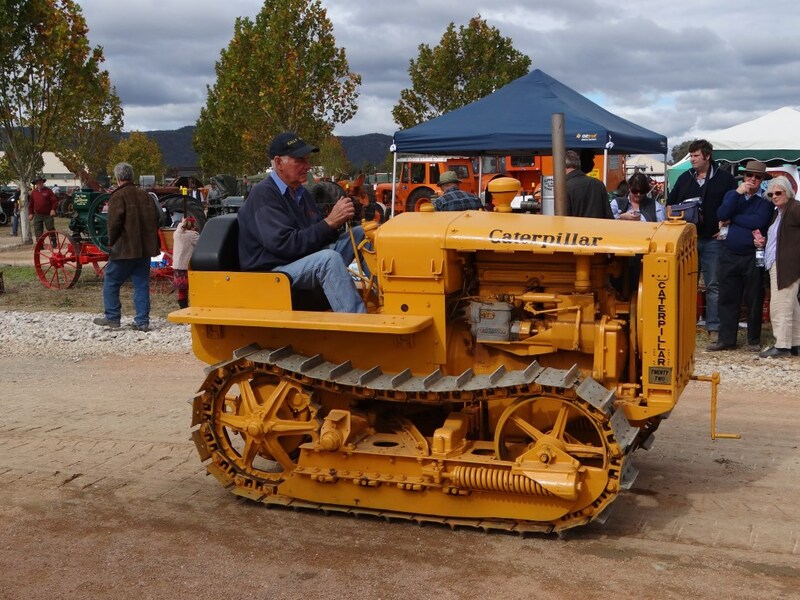 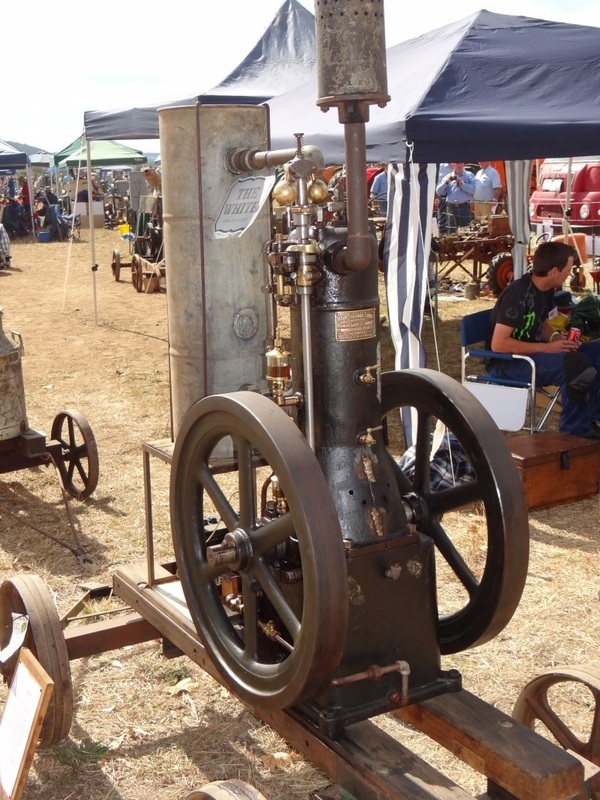 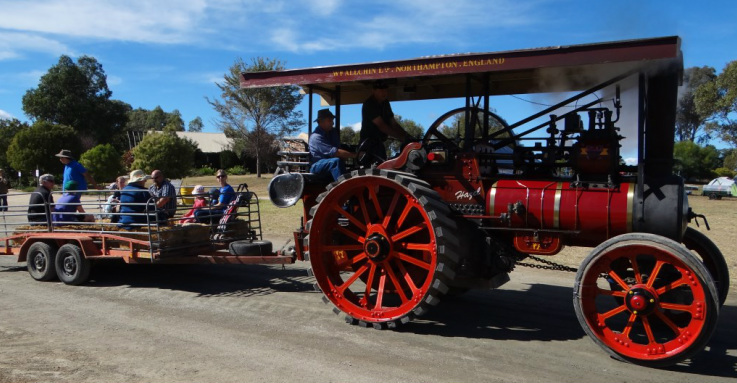 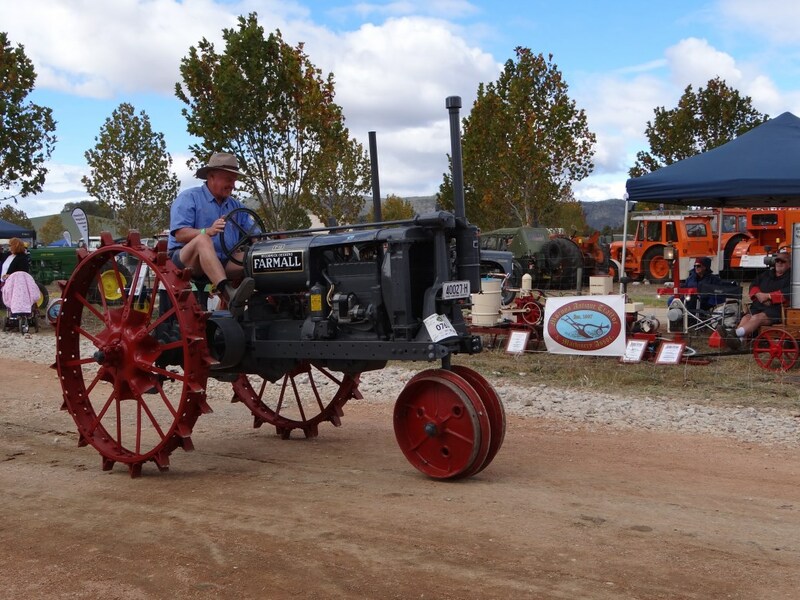 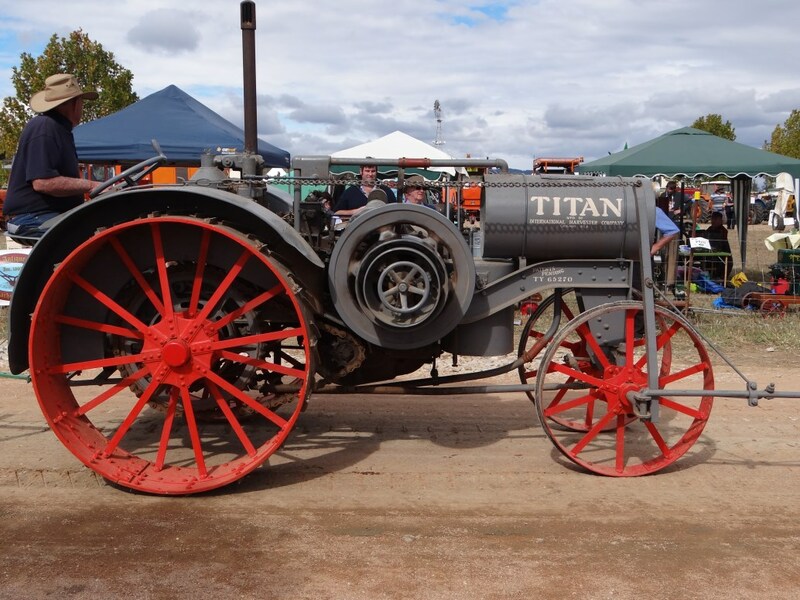 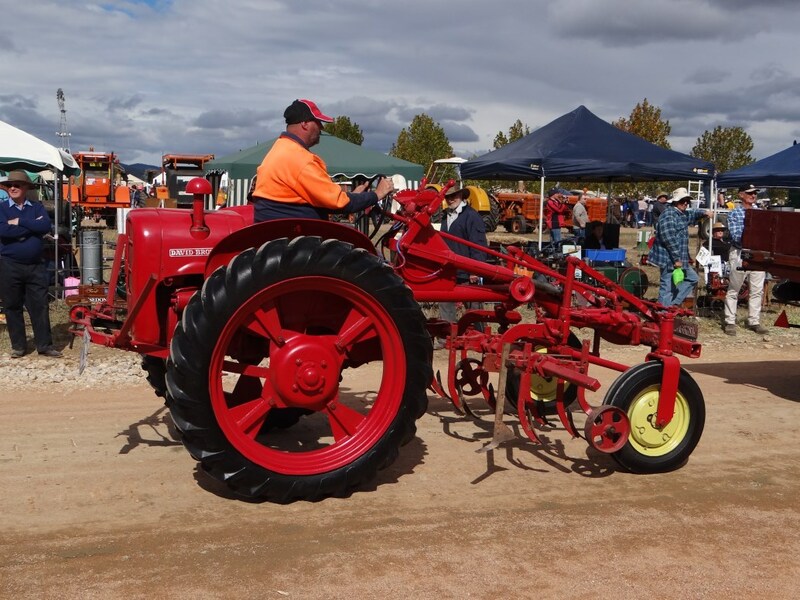 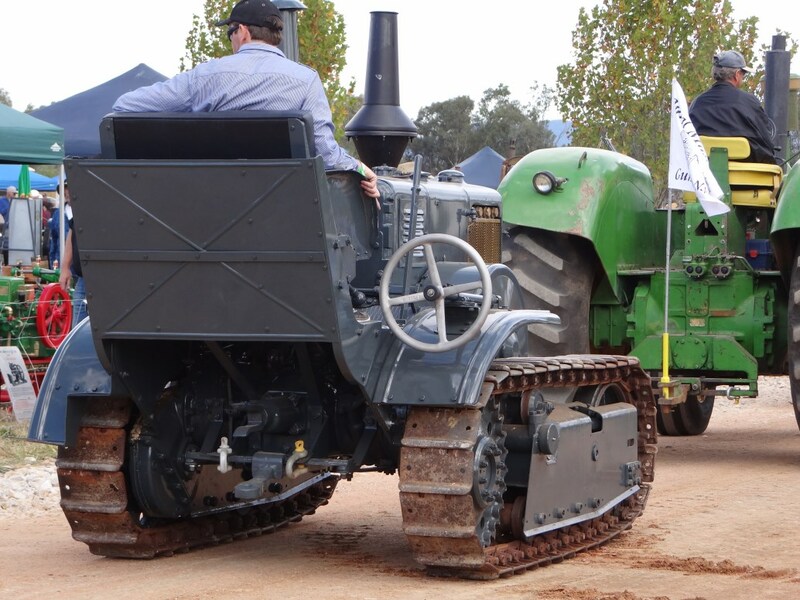 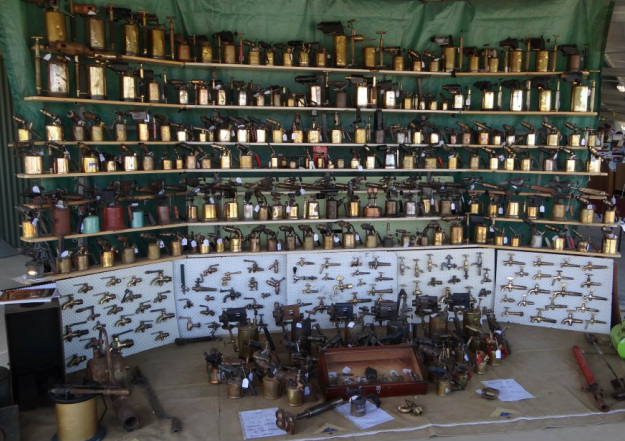 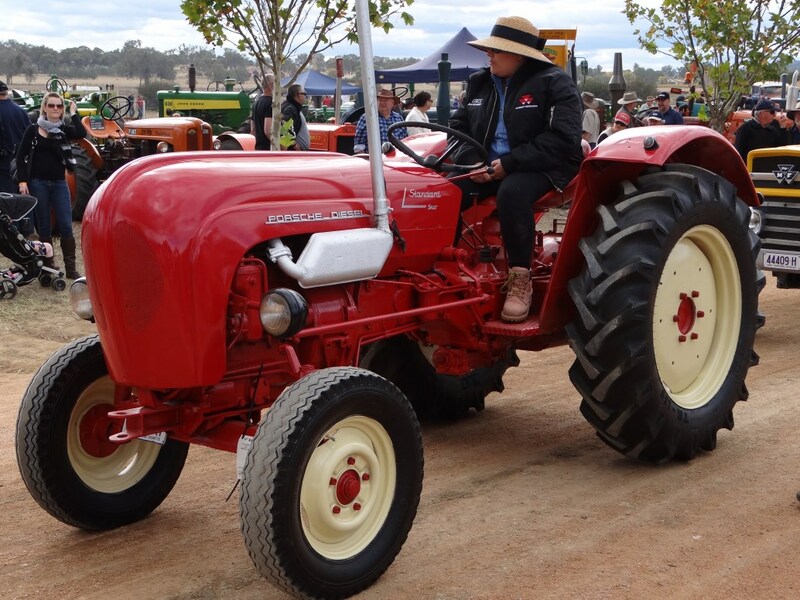 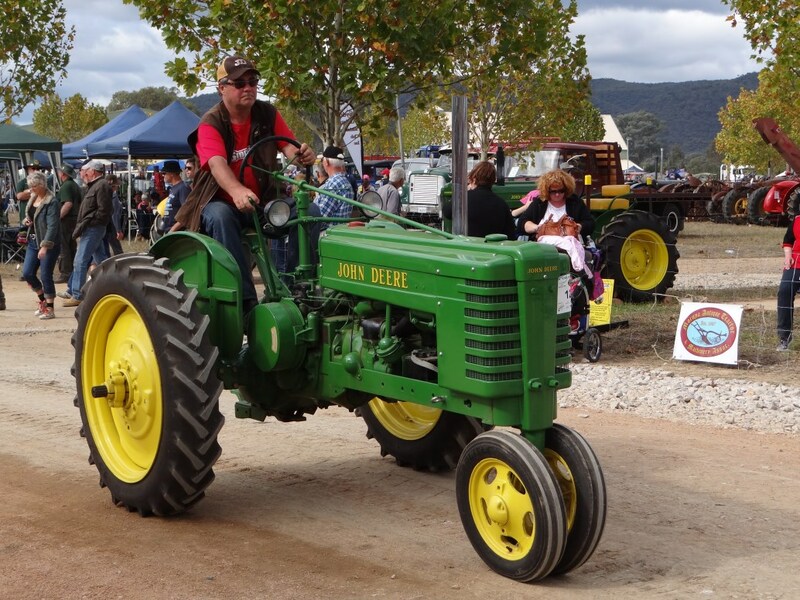 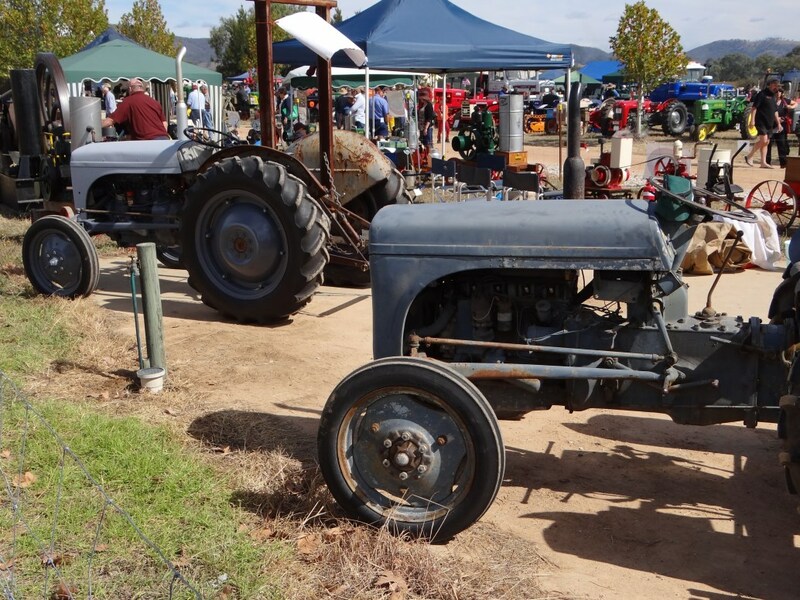 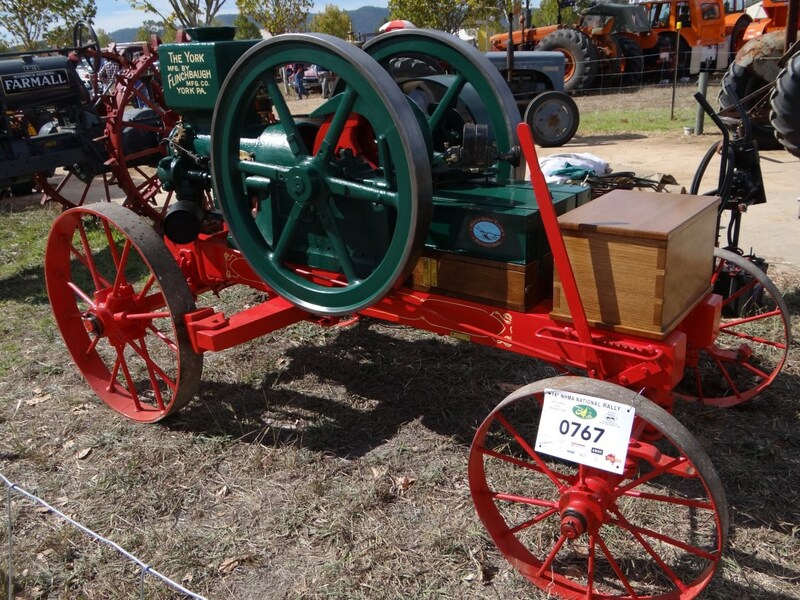 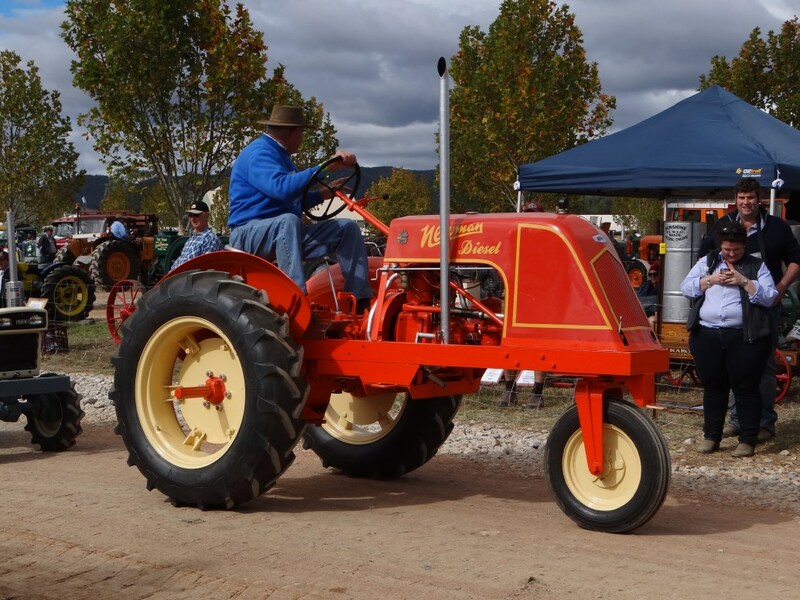 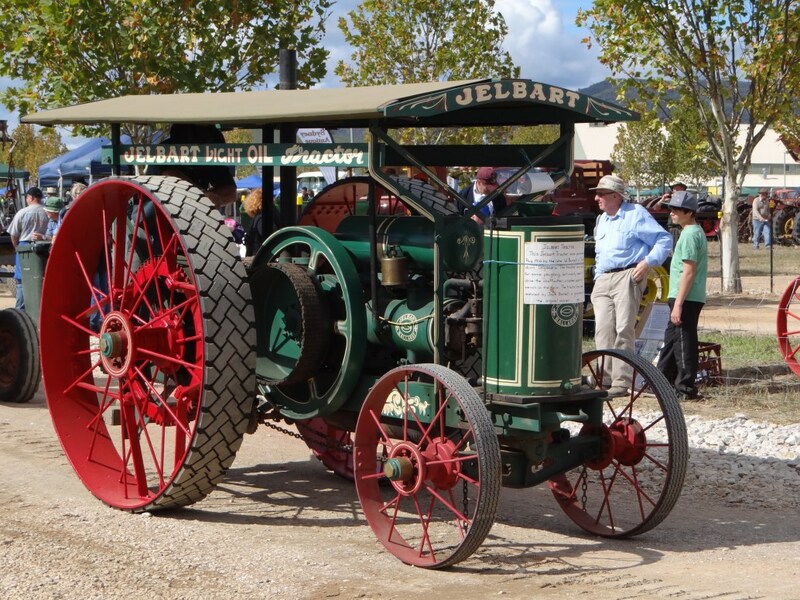 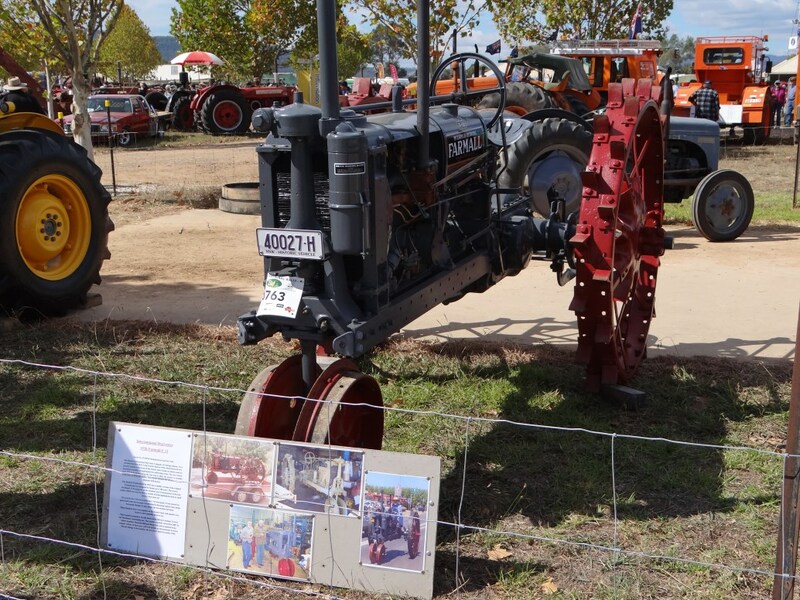 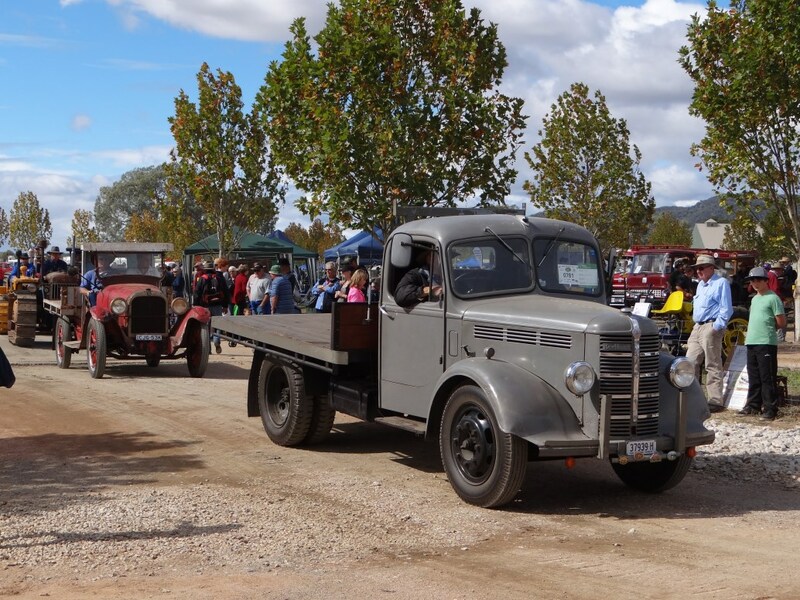 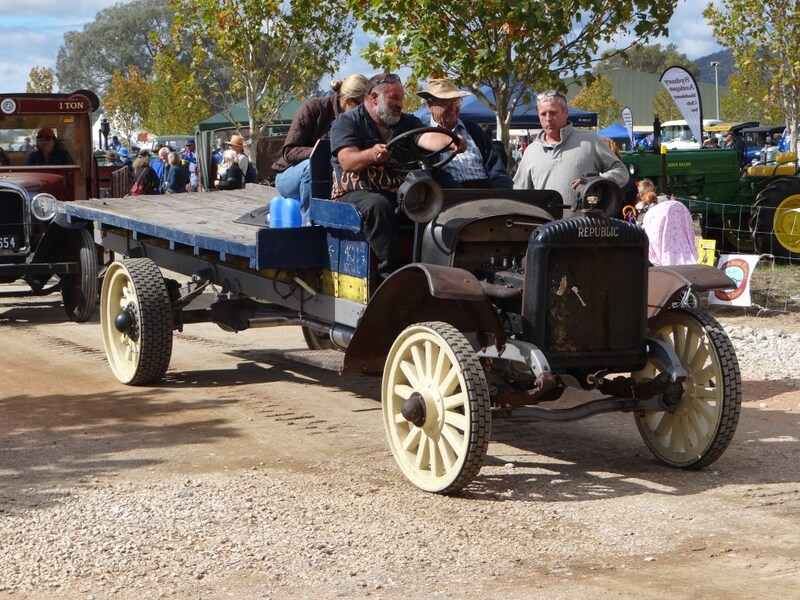 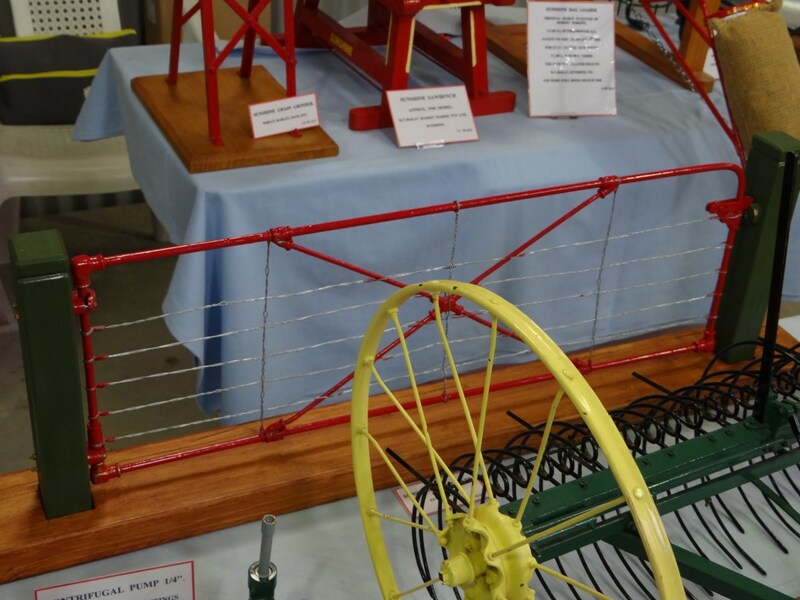 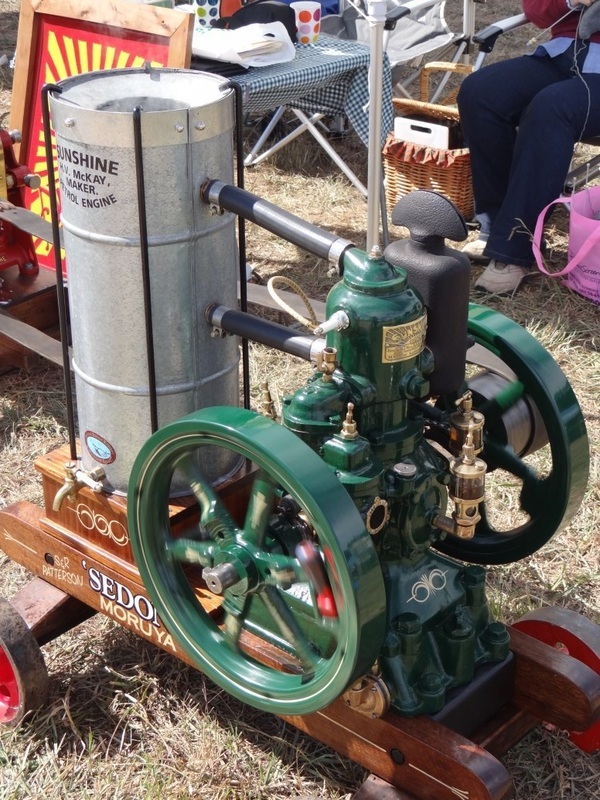 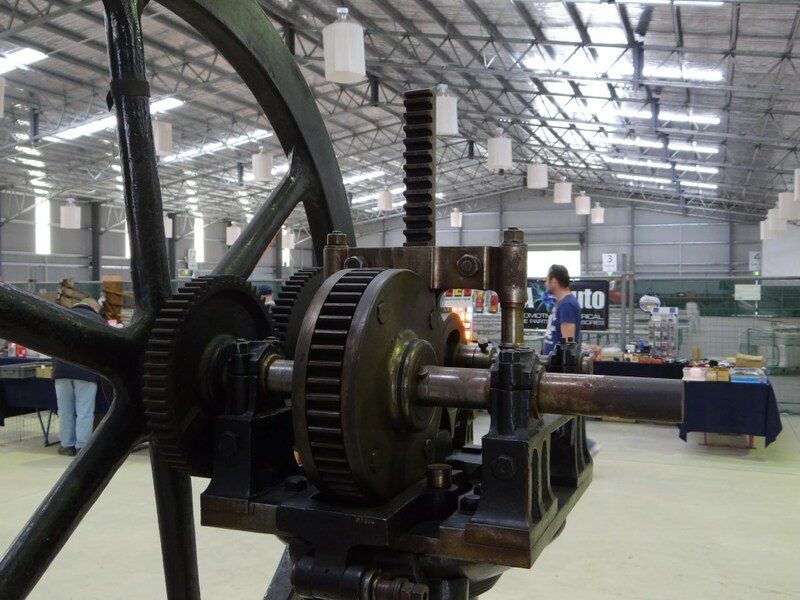 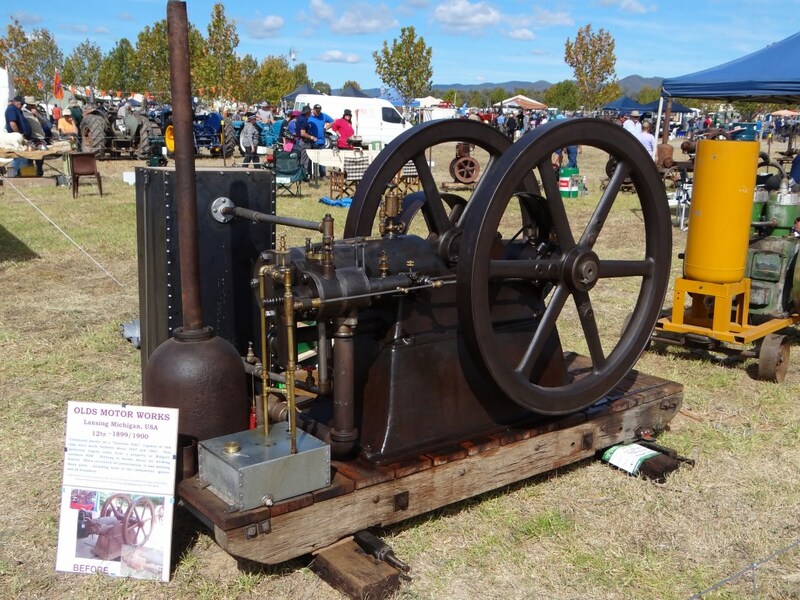 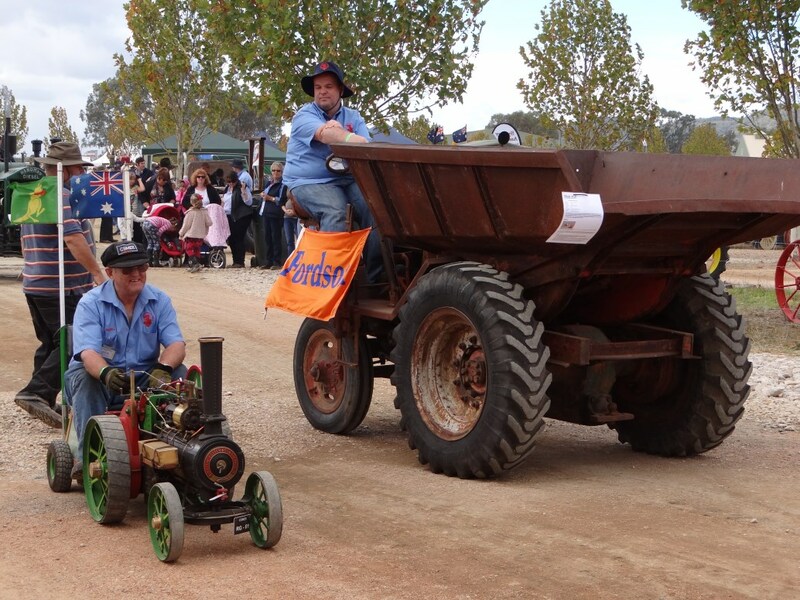 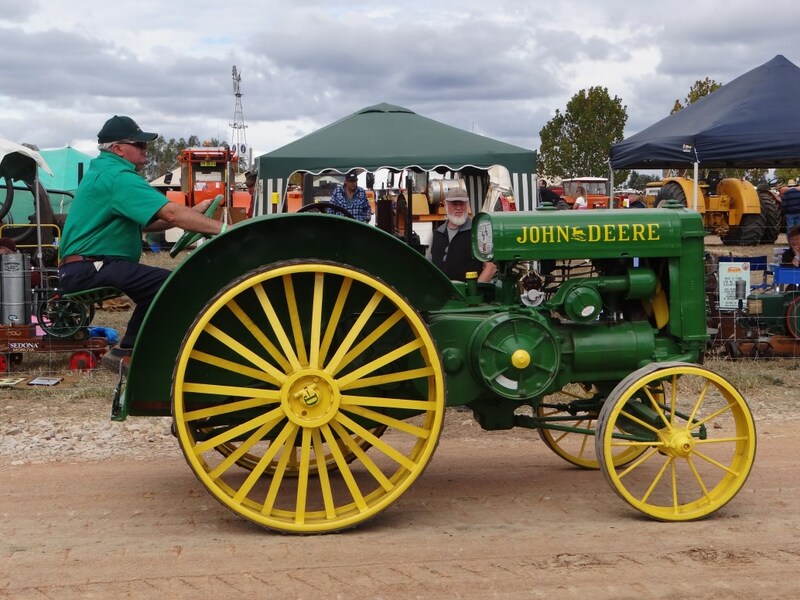 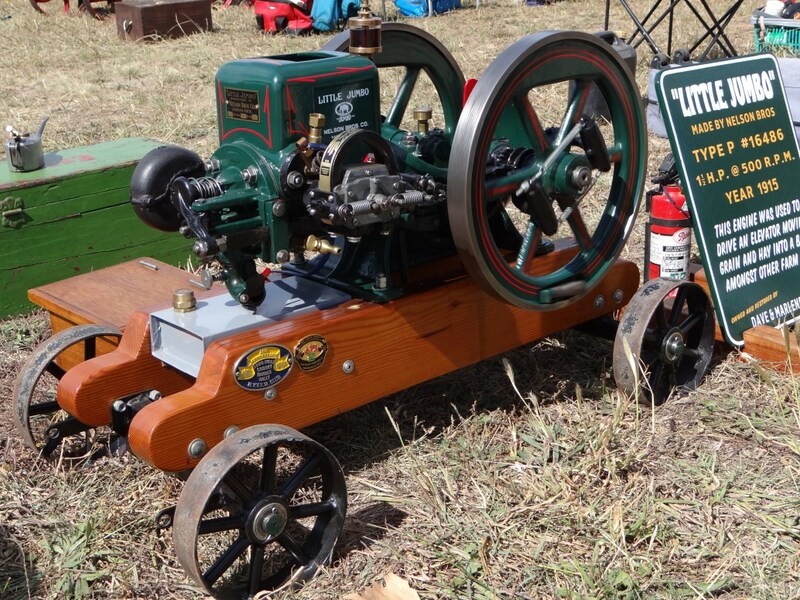 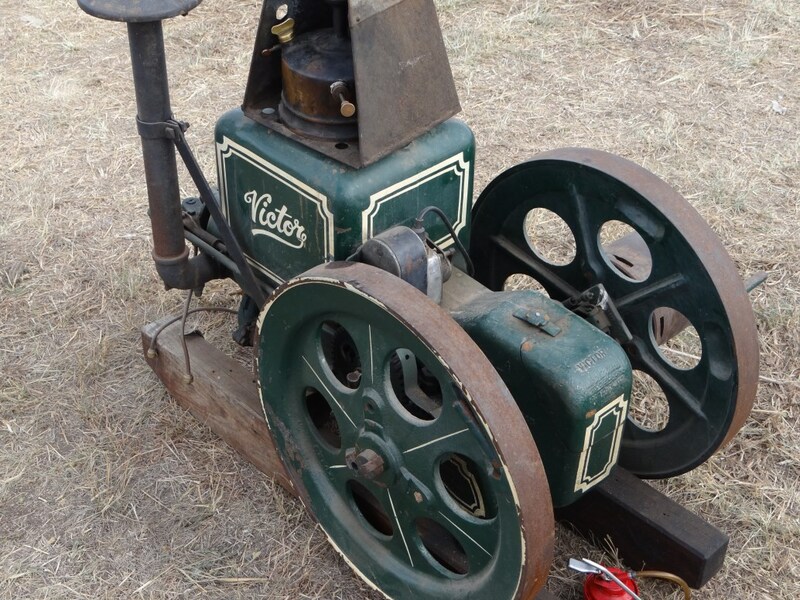 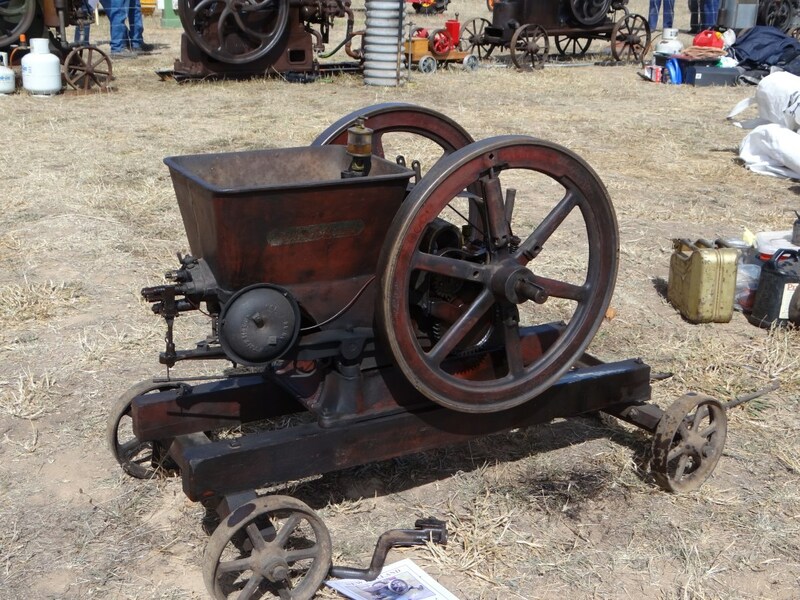 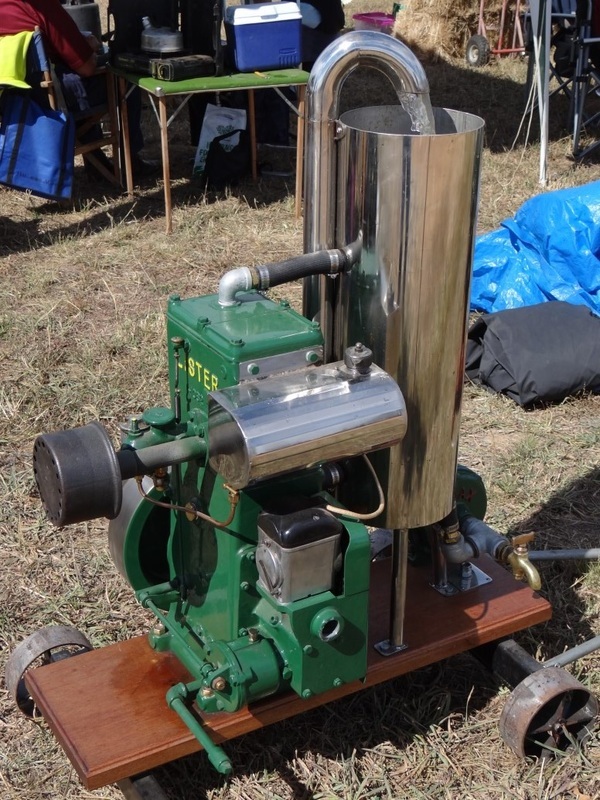 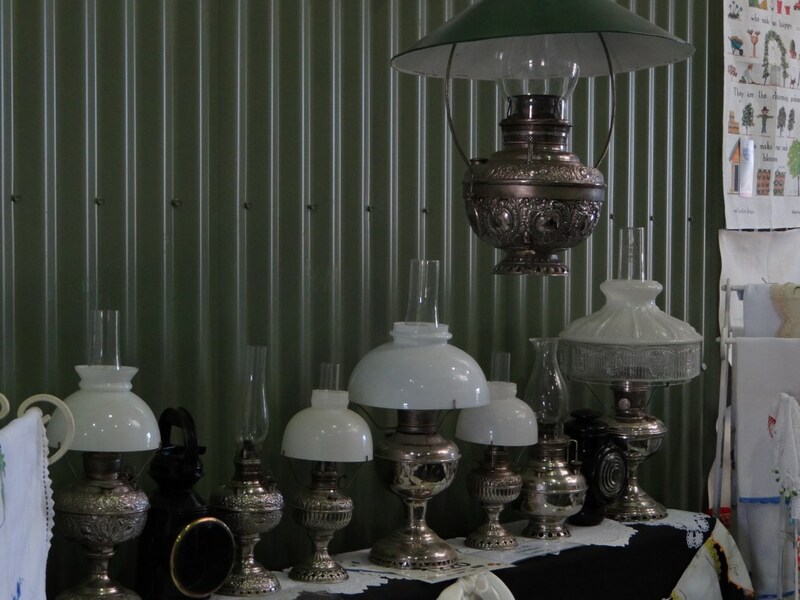 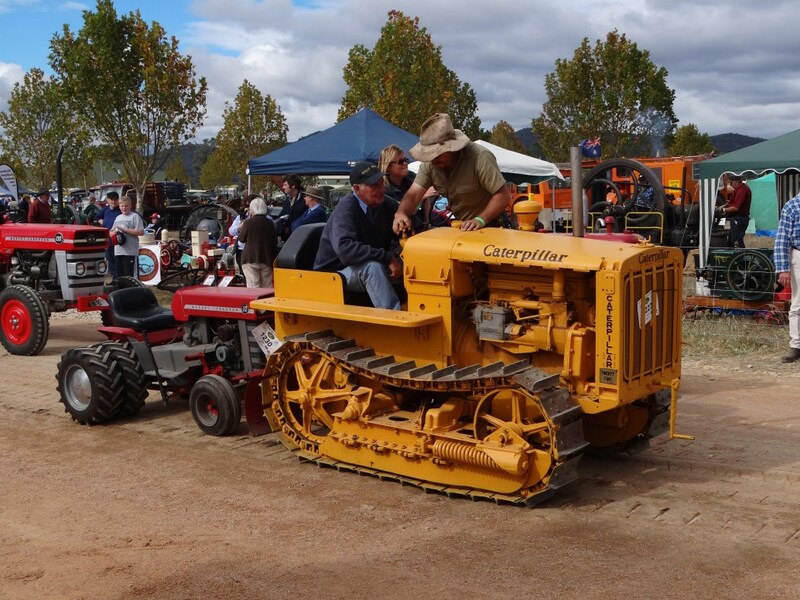 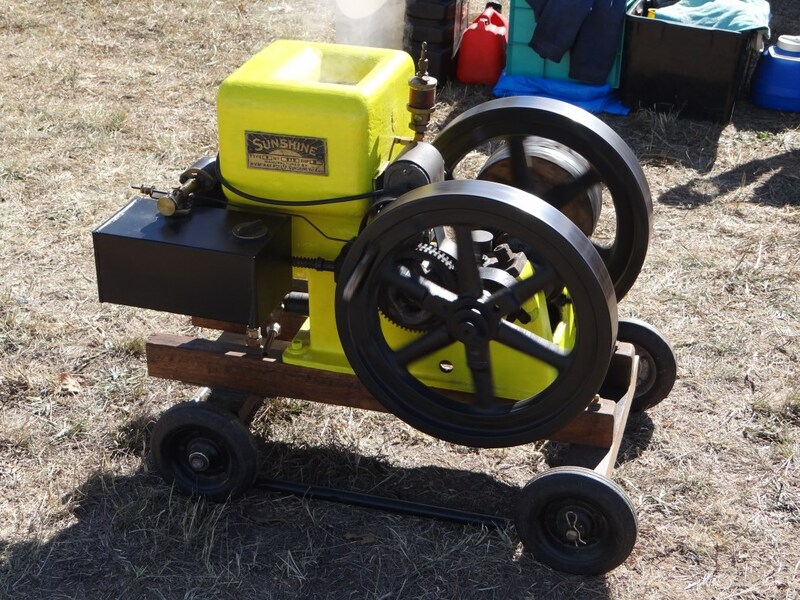 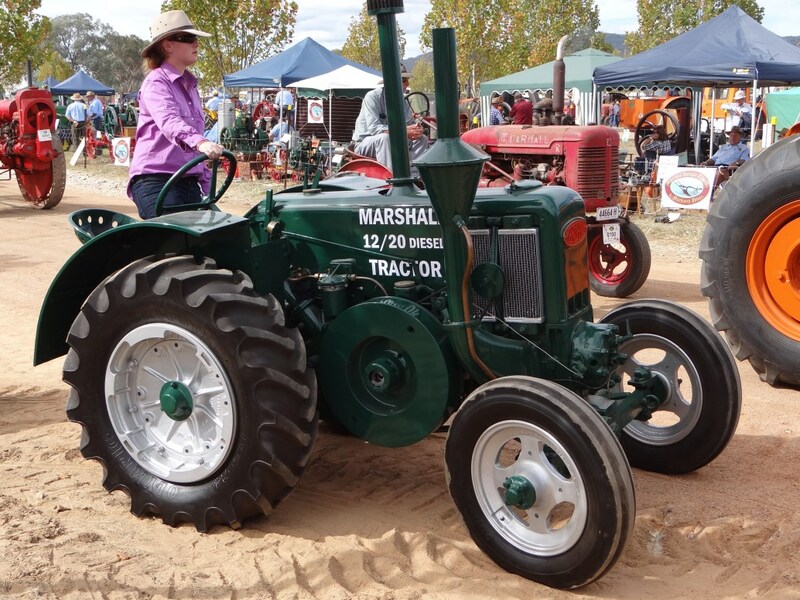 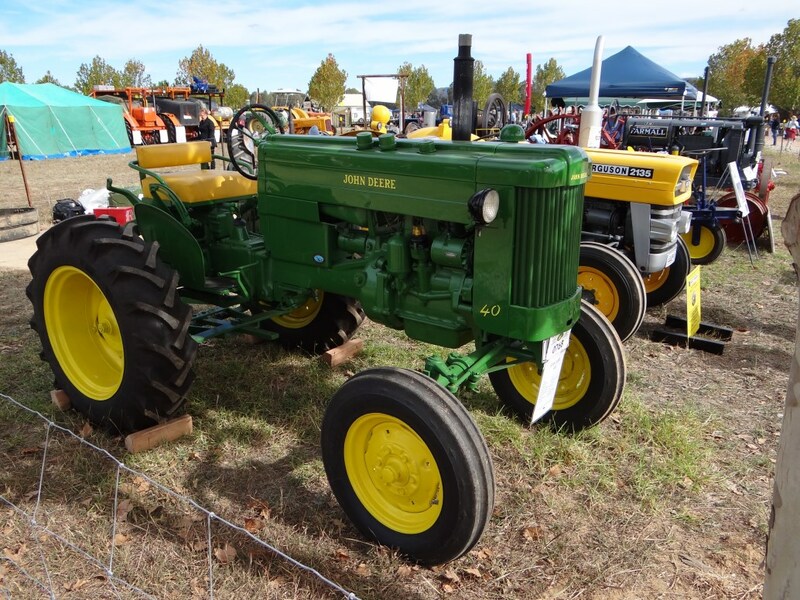 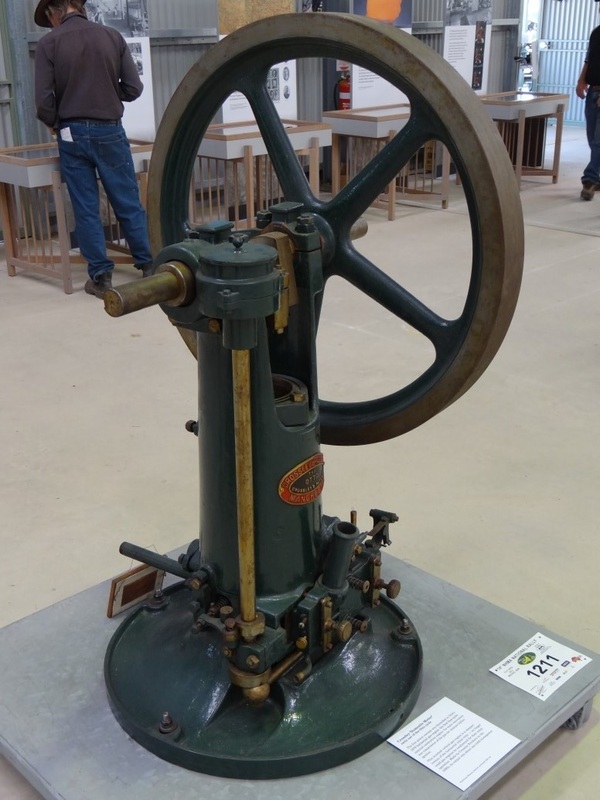 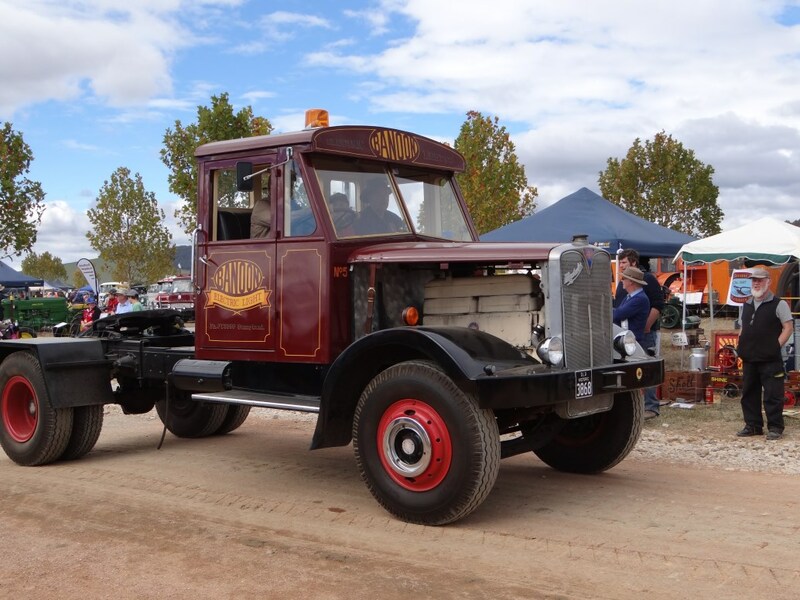 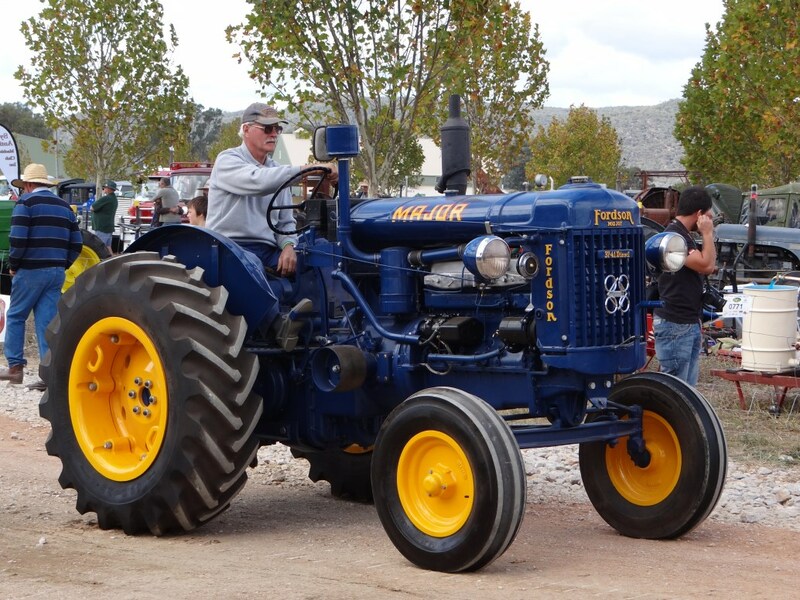 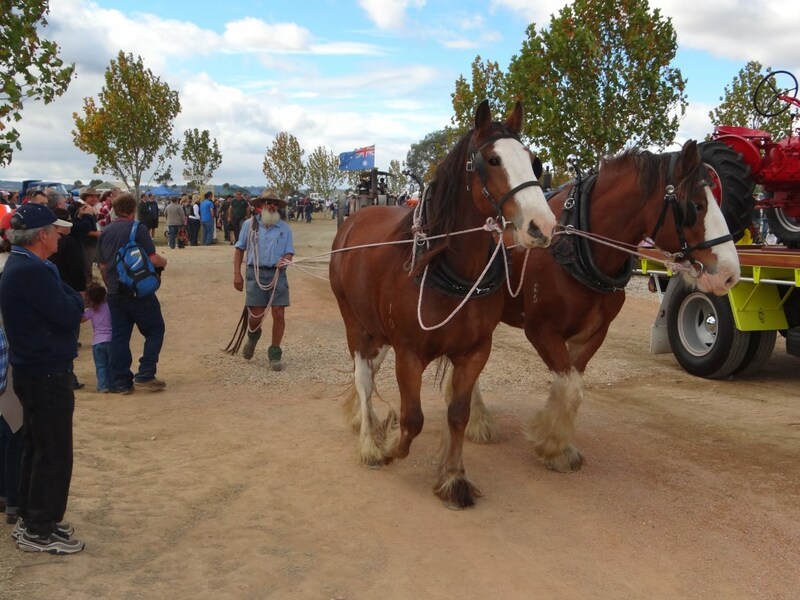 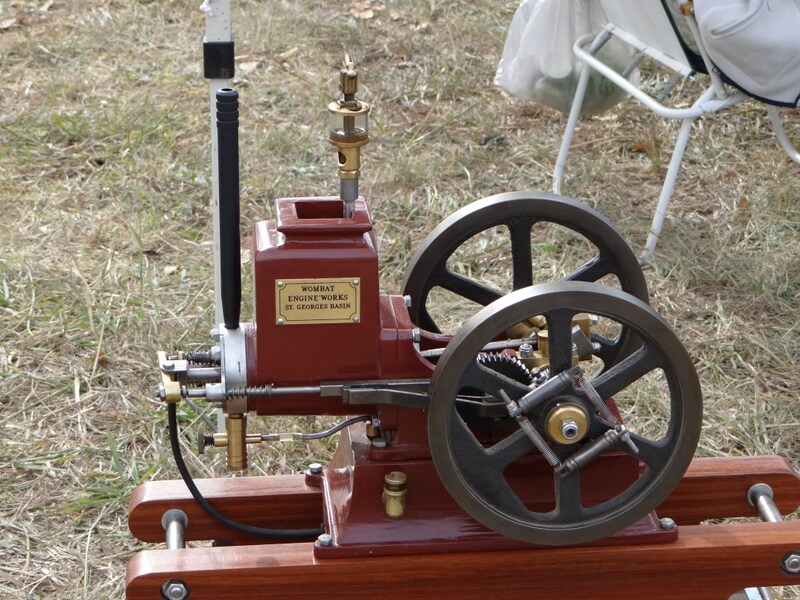 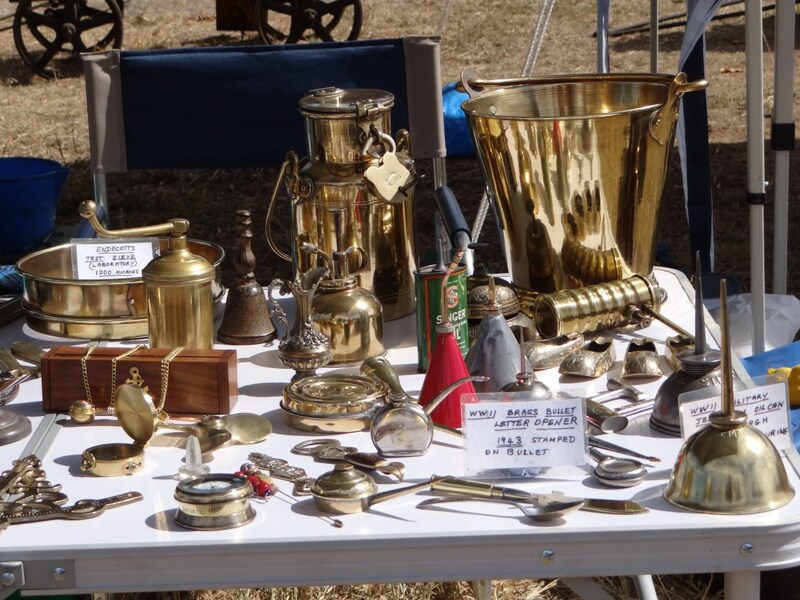 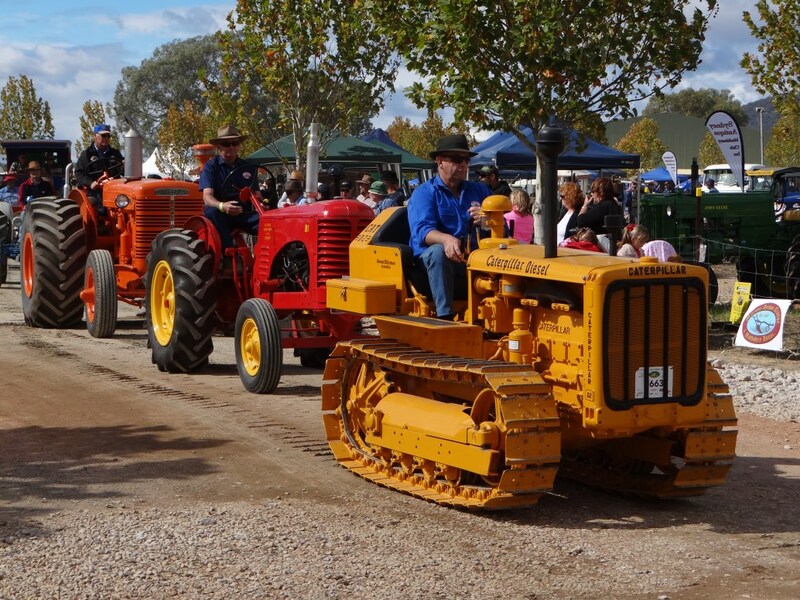 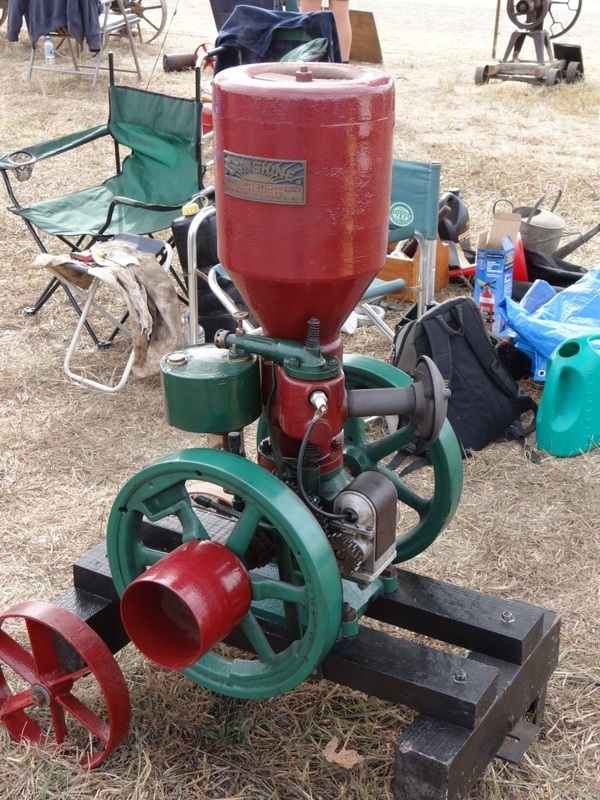 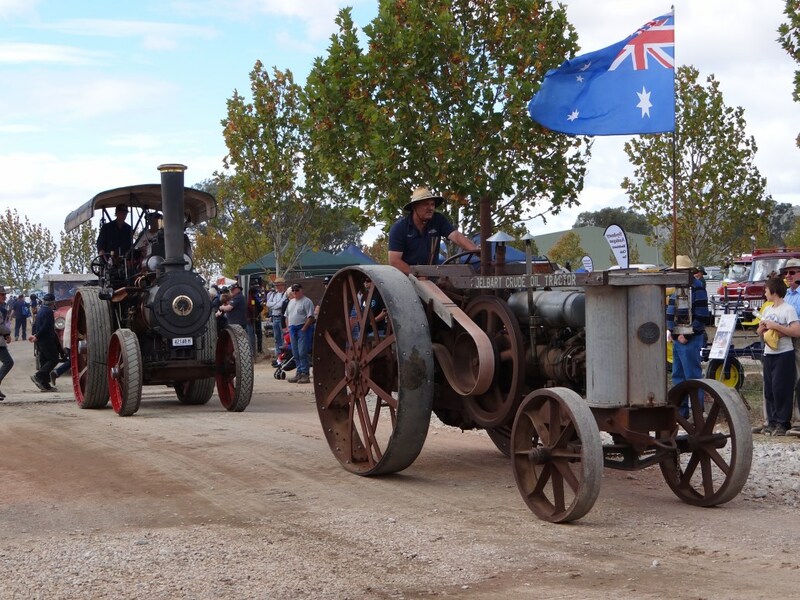 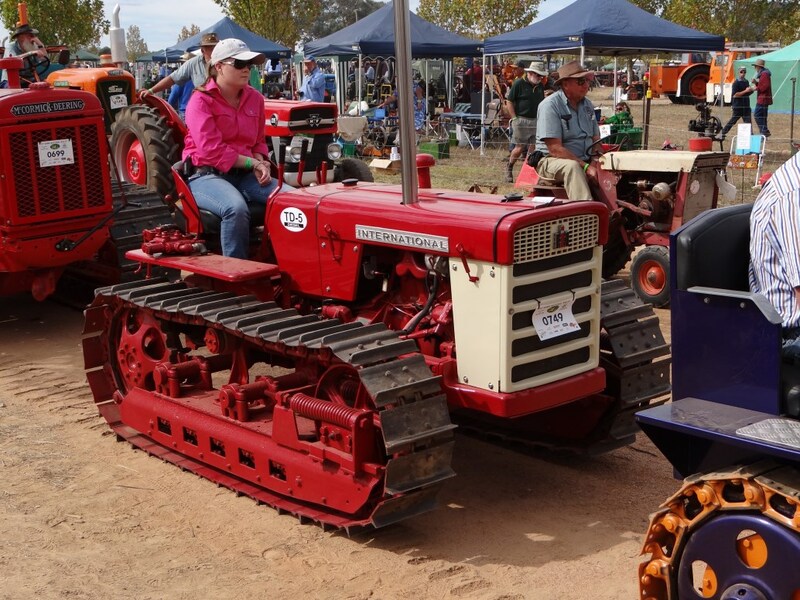 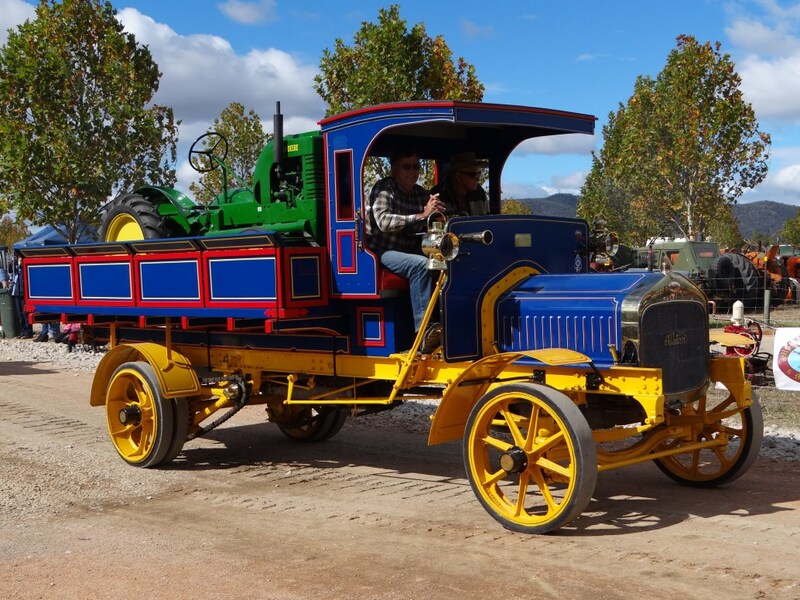 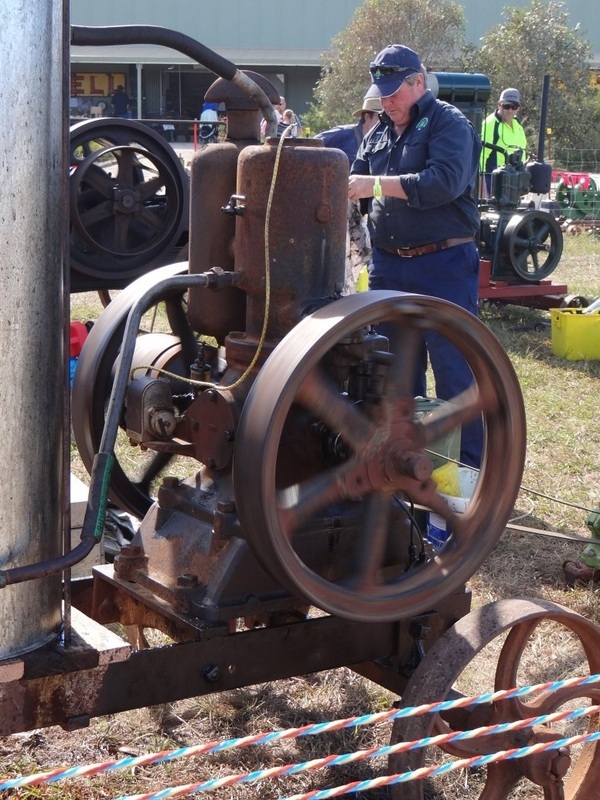 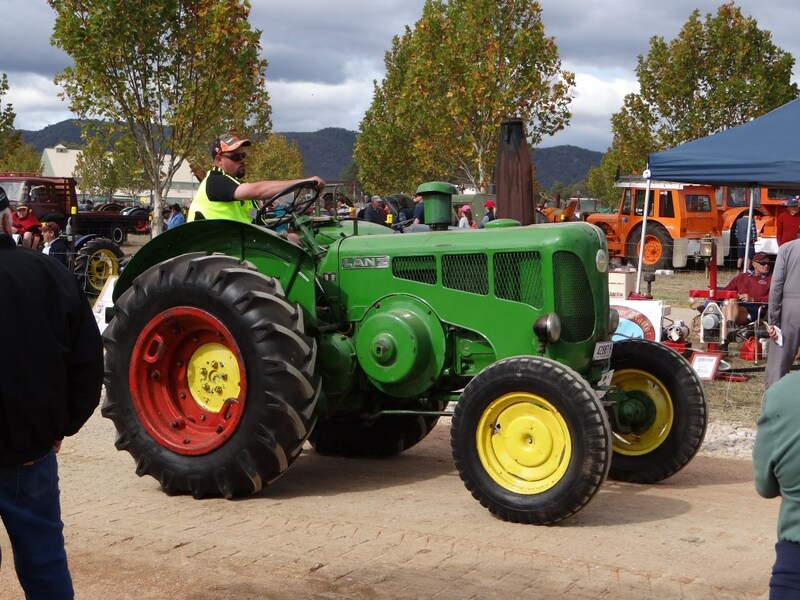 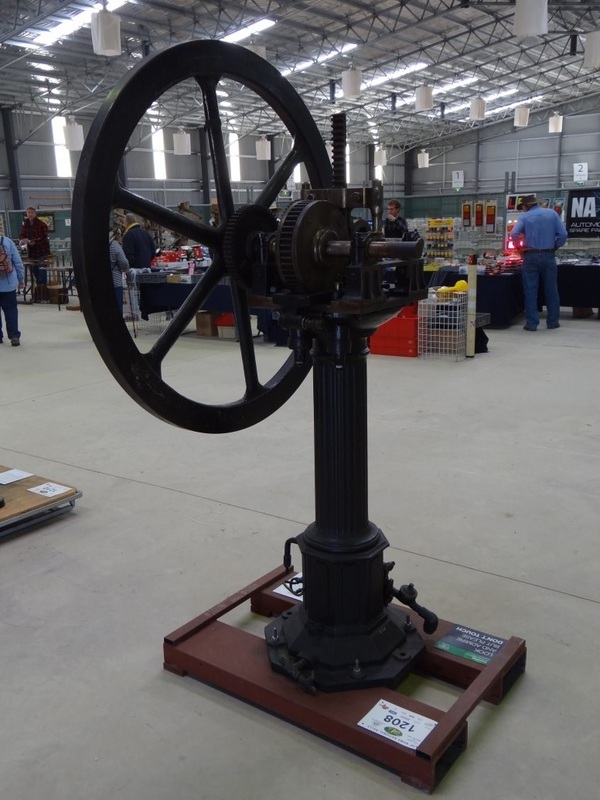 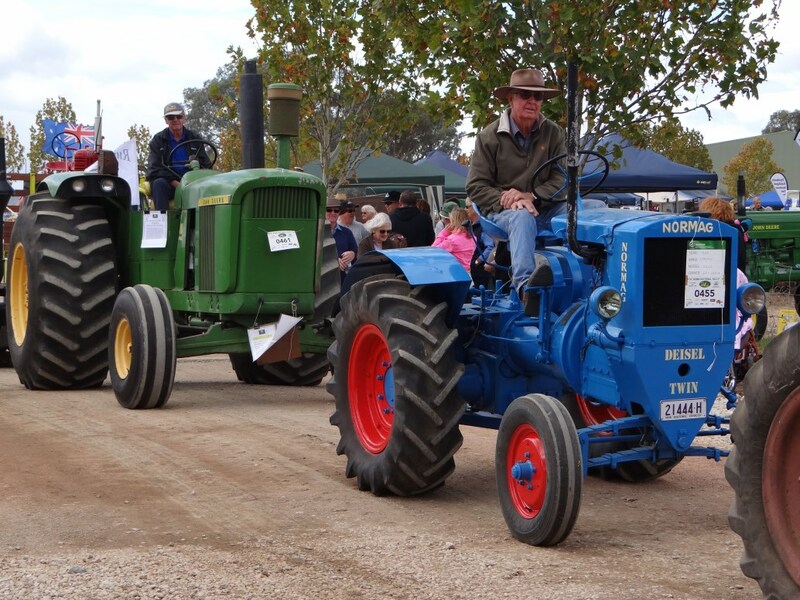 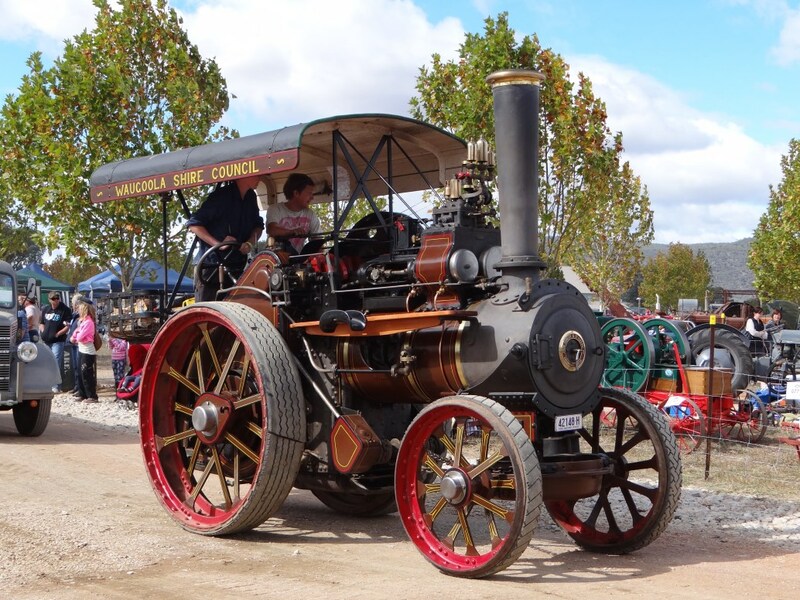 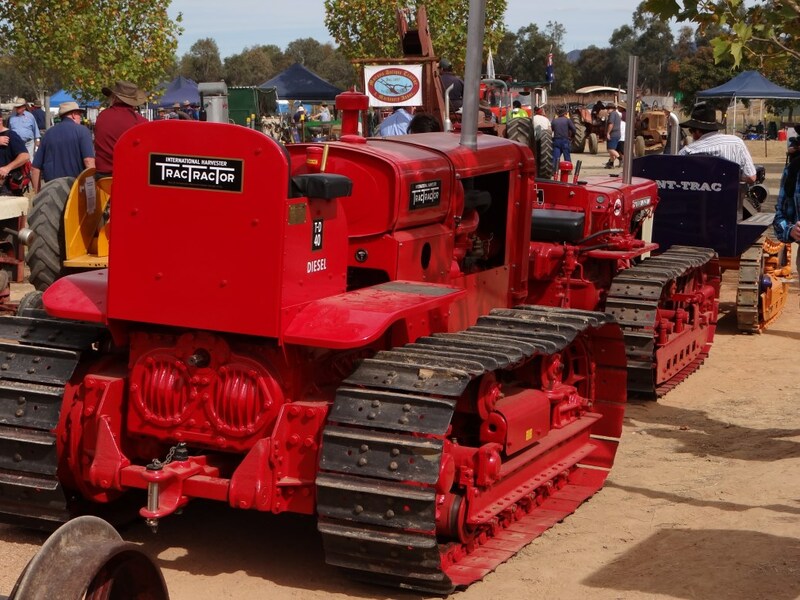 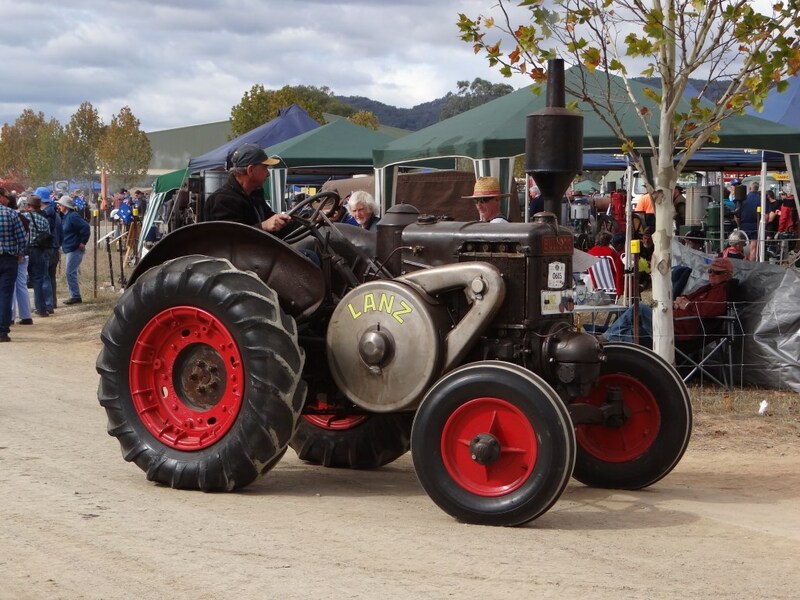 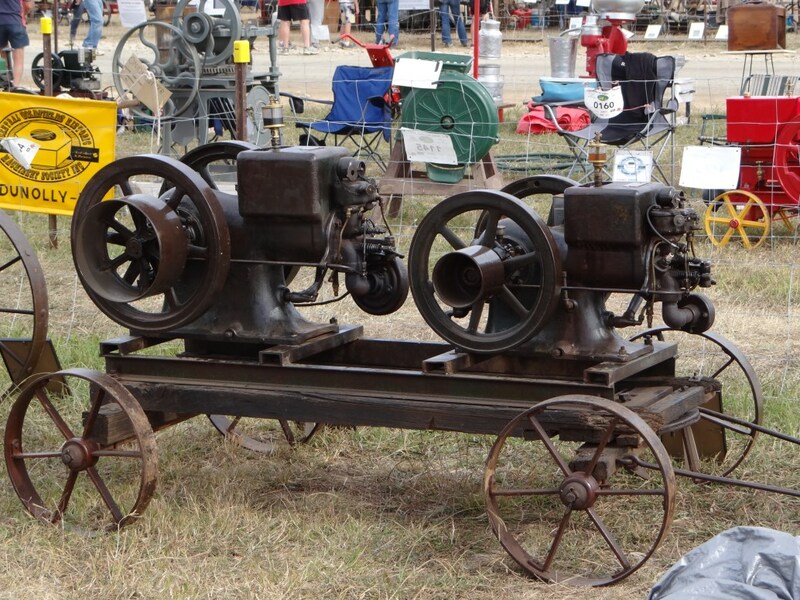 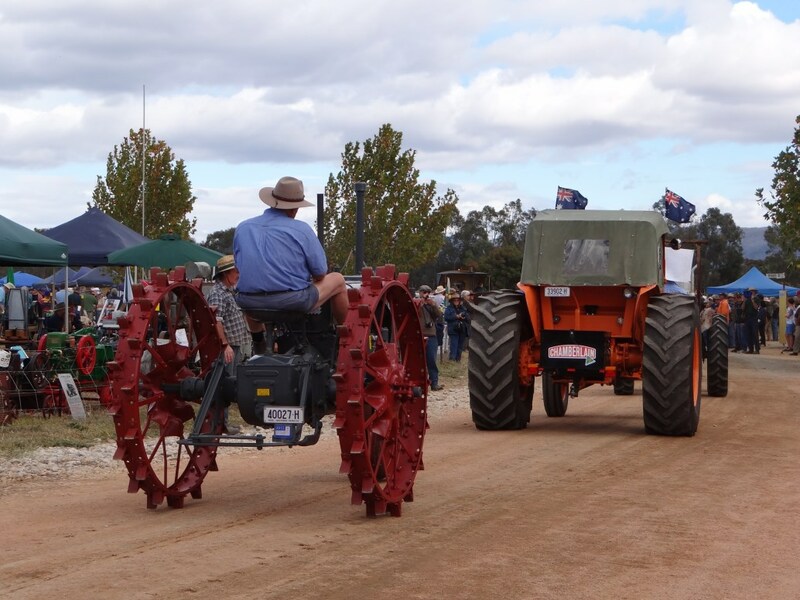 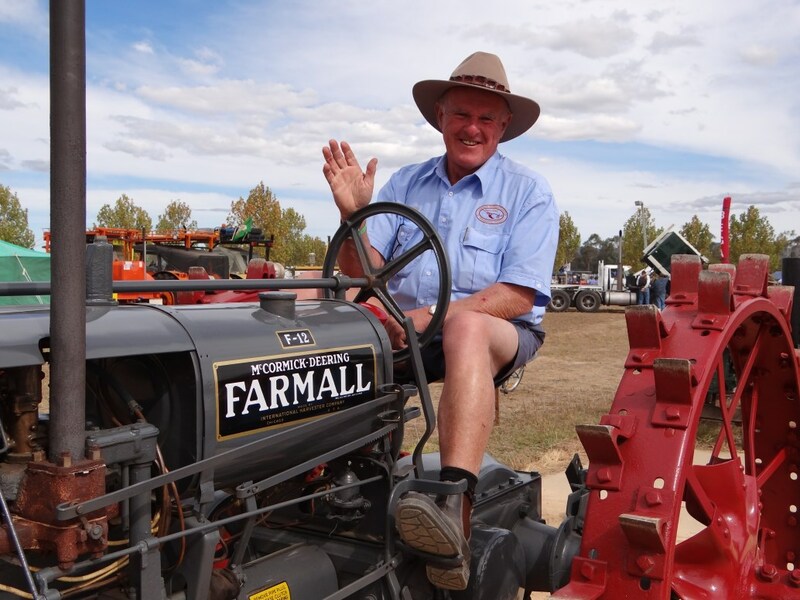 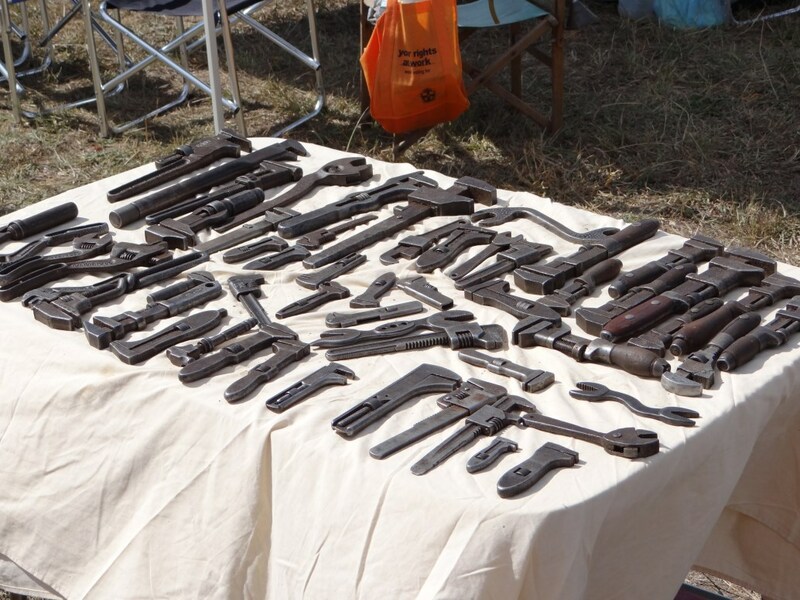 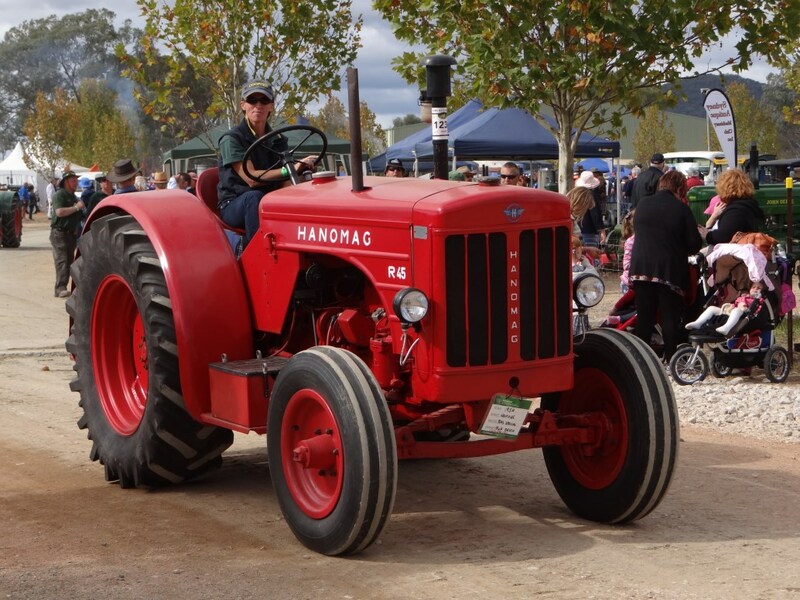 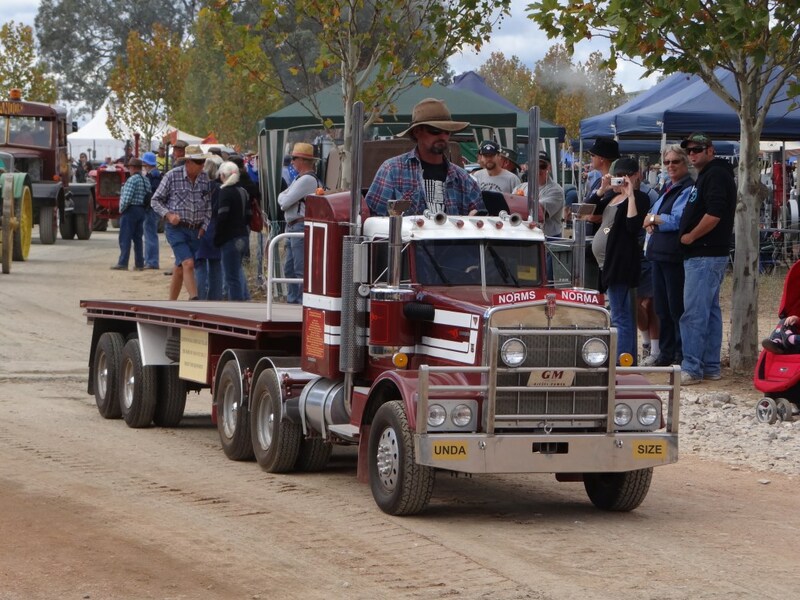 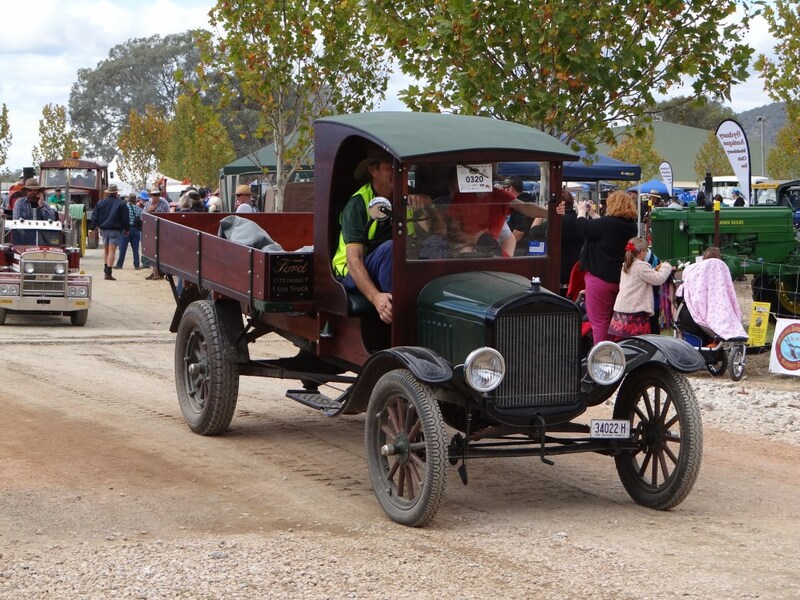 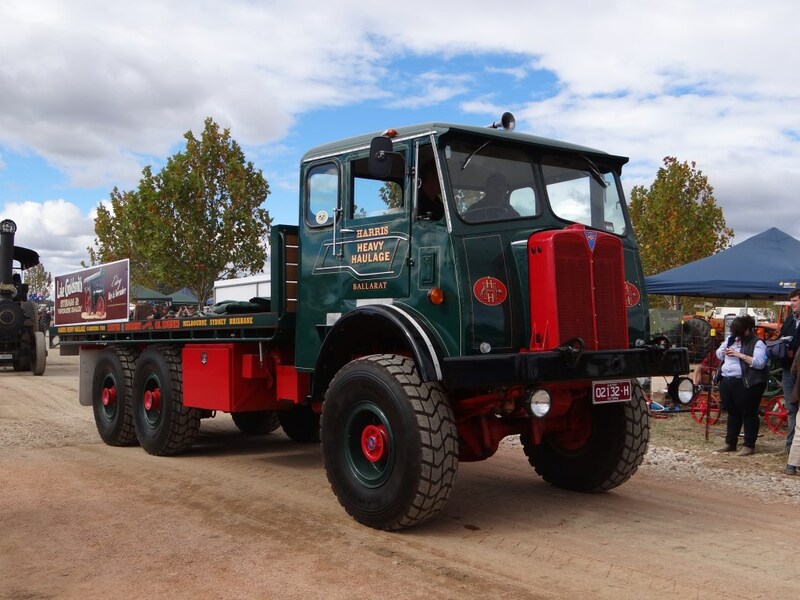 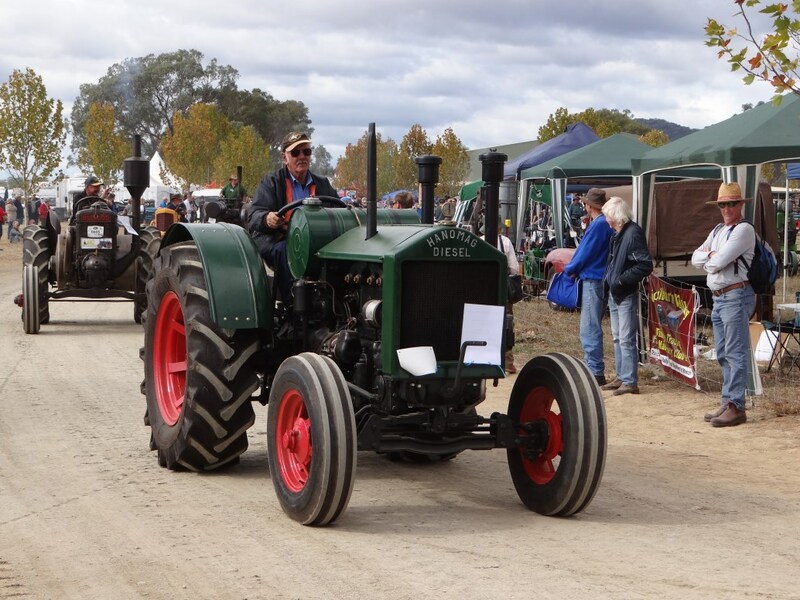 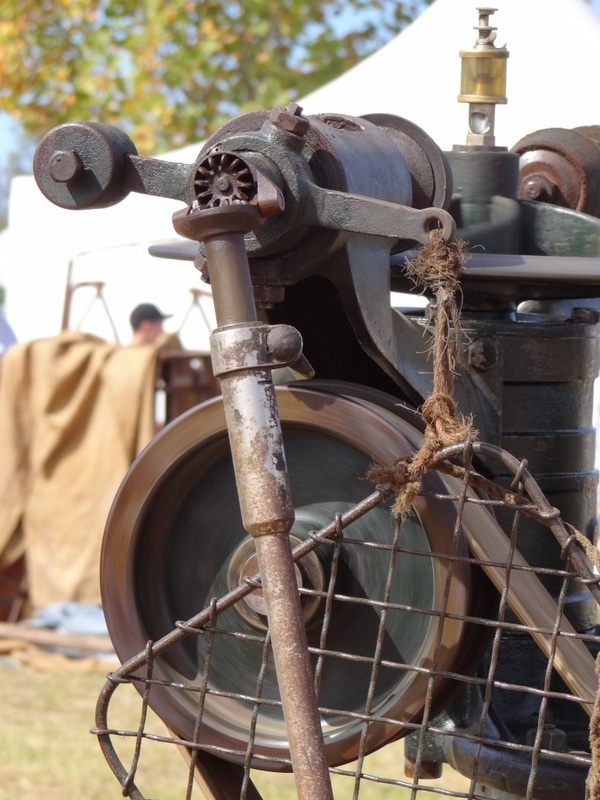 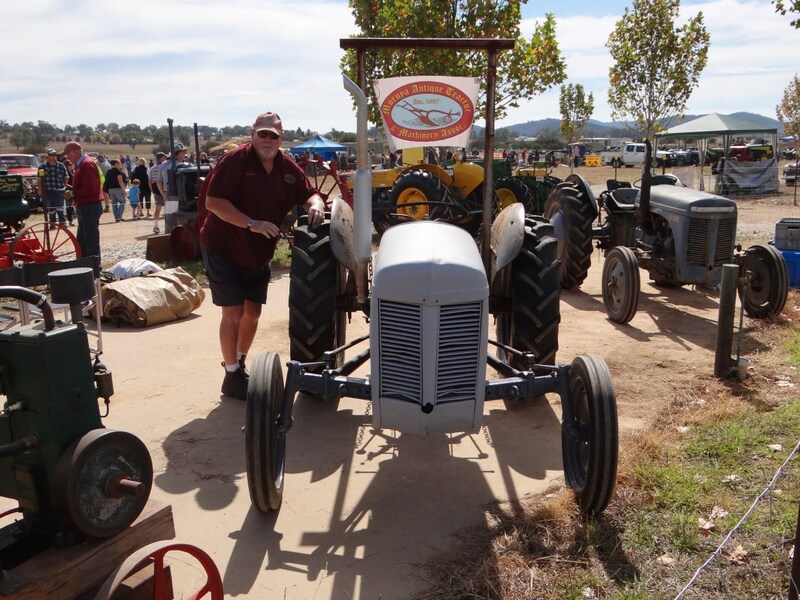 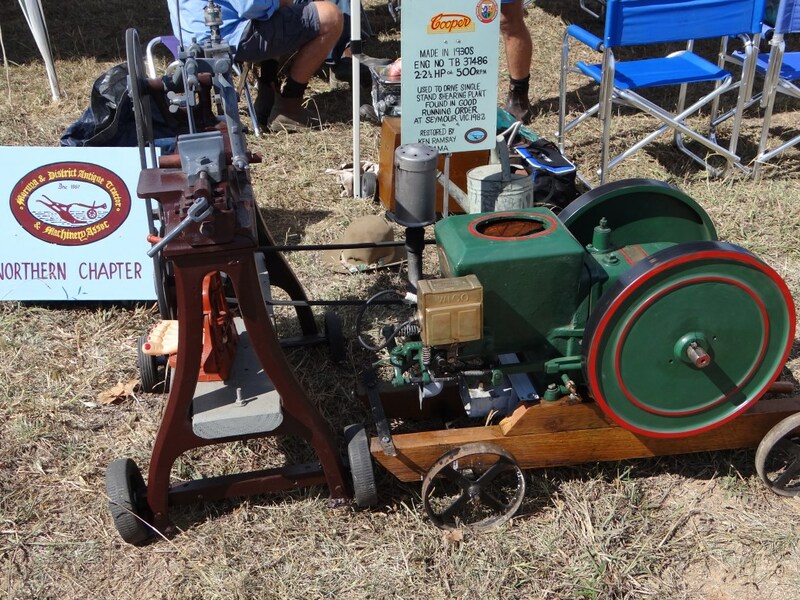 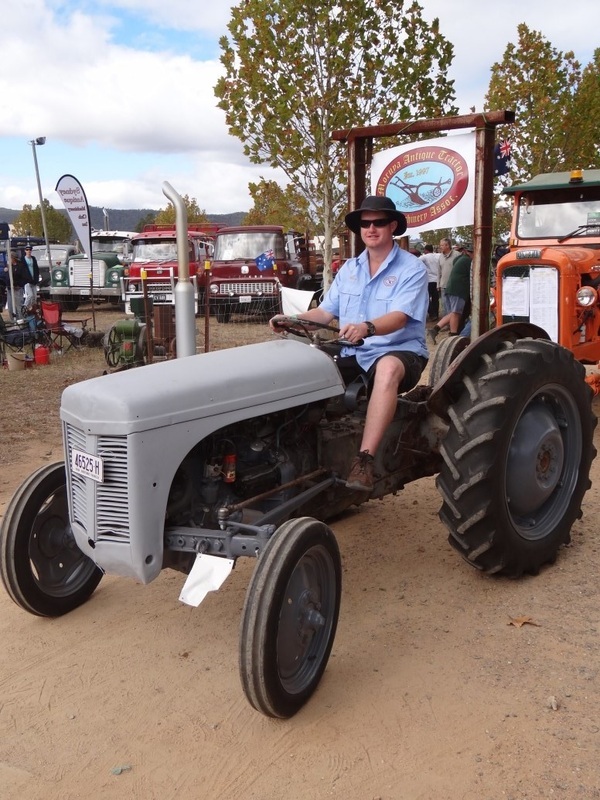 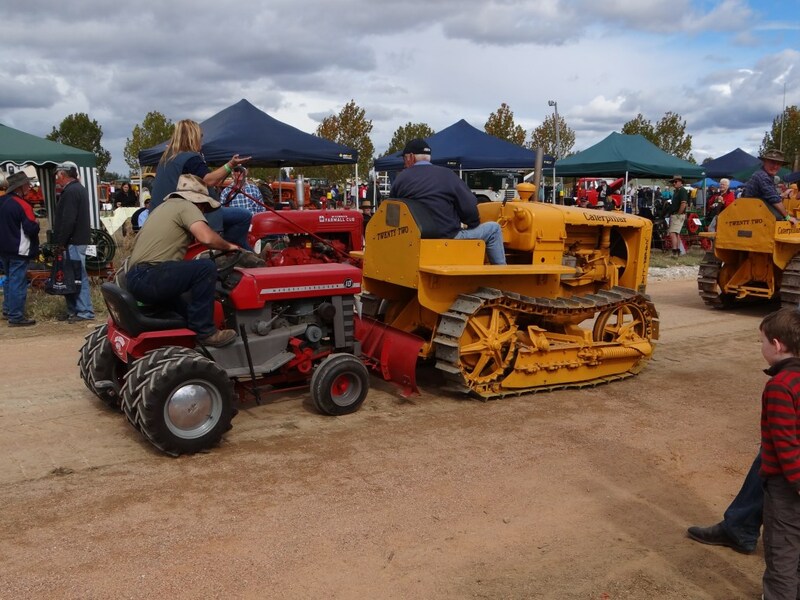 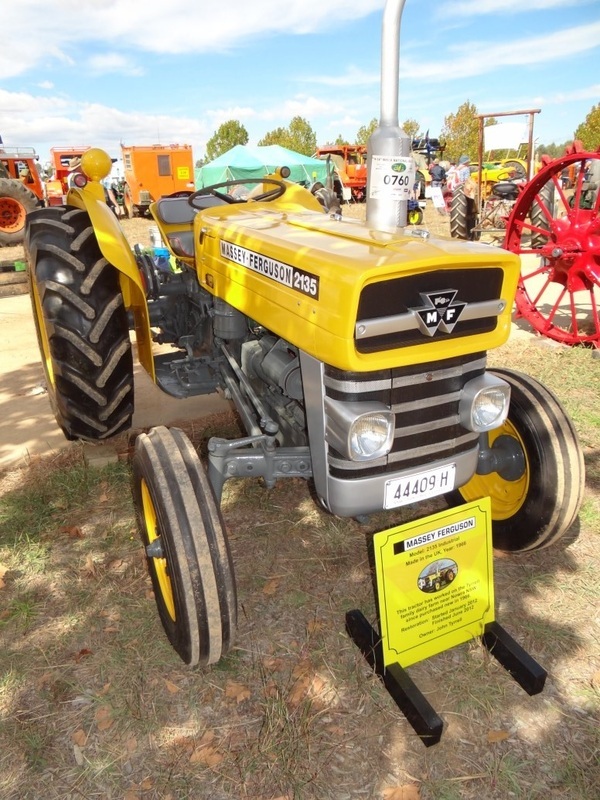 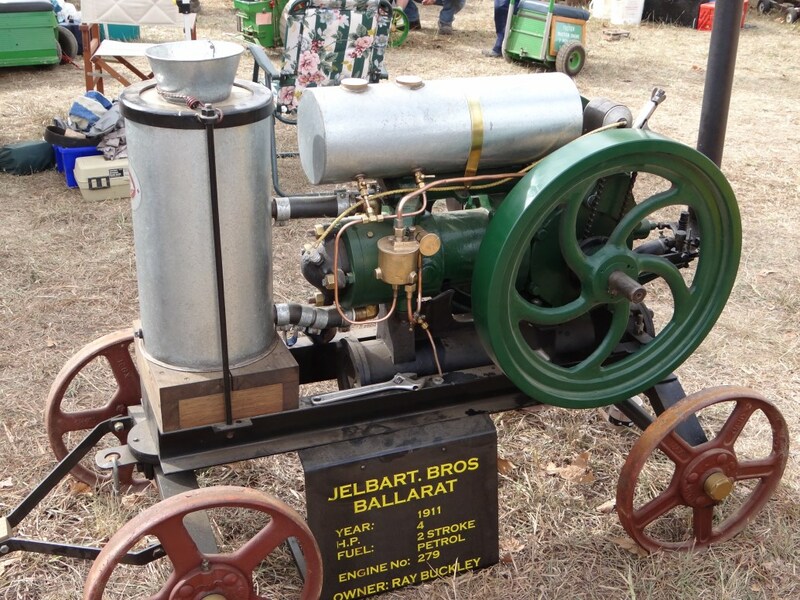 Considering there was 750+ exhibitors with 2,000+ exhibits and nearly 5kms of fencing, our club members congratulate the organising club, "Cudgegong Valley Antique Machinery Club", for their herculean efforts in organising such a terrific rally. 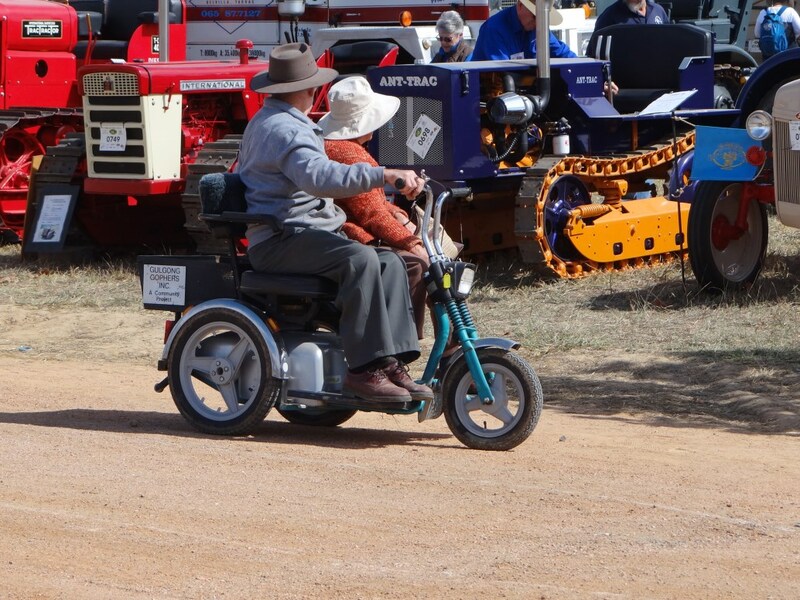 Below are some images of the rally. 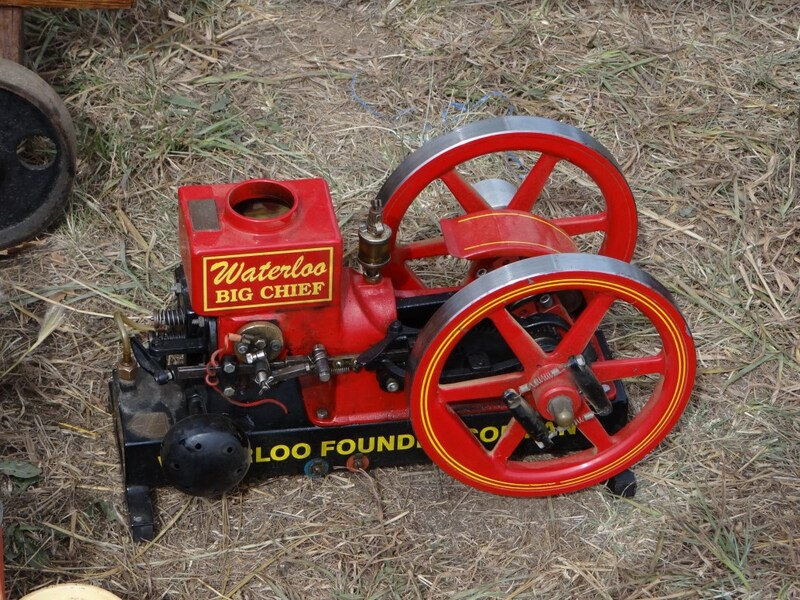 The first photos being relevant to our club and the following ones are a very small representation of the rest. 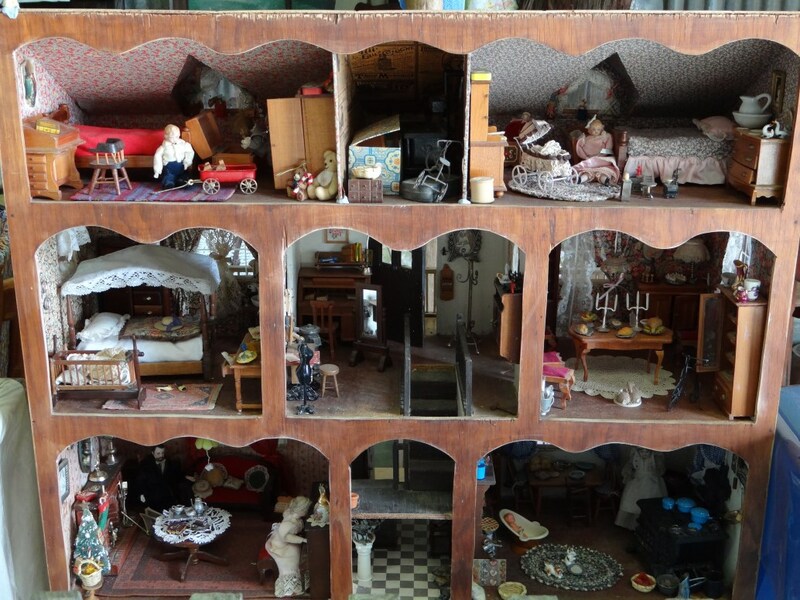 Just click on any of the images below to see it full size. 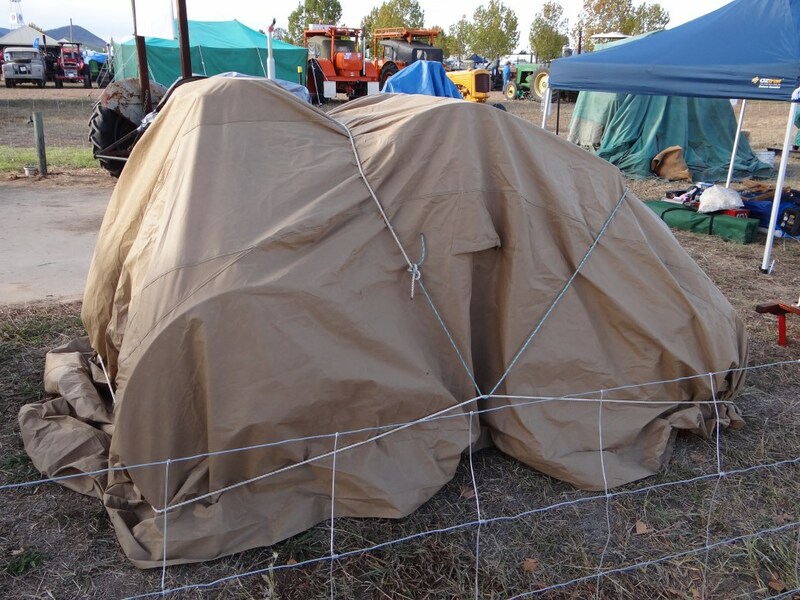 Waiting for the grand unveiling. 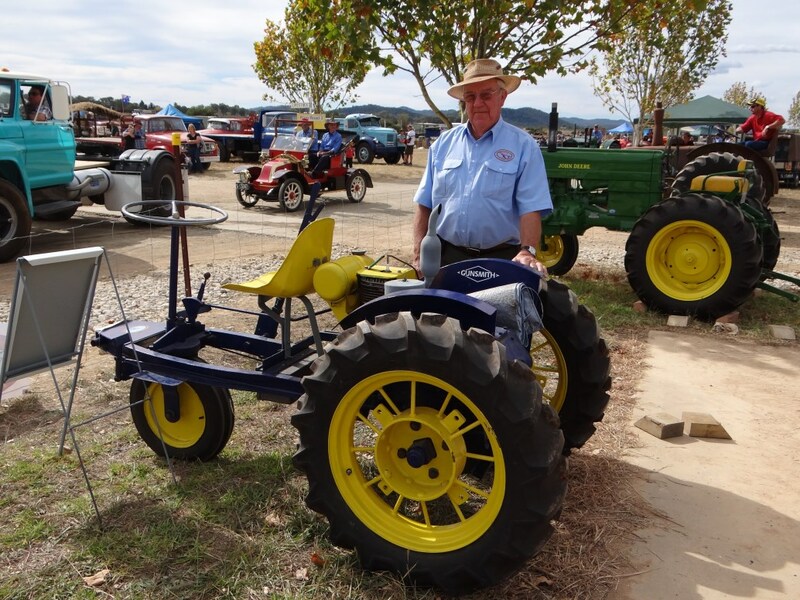 Ken Ramsey represented our "Northern Chapter" well. 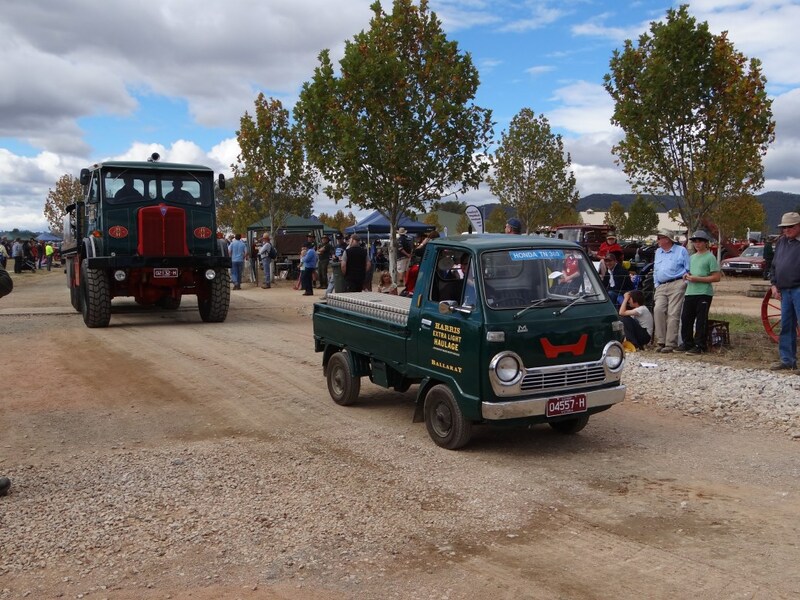 2 Listers on the same transporter = double trouble Frank? 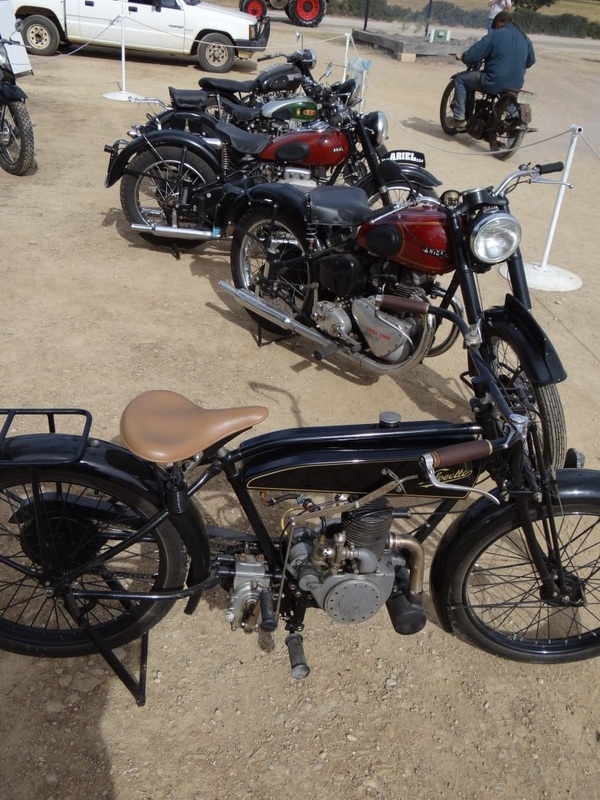 ....and the "York" attracted a great deal of interest. 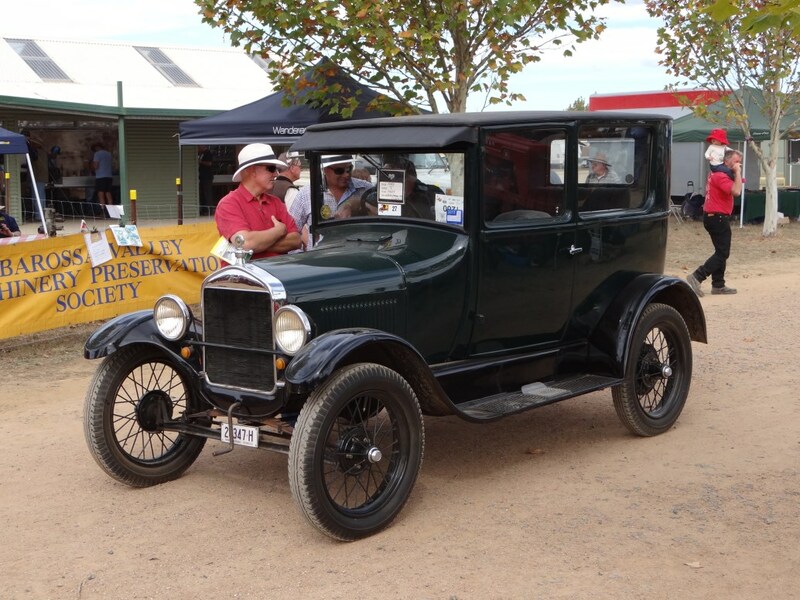 his 1918 Fairbanks Morse Z looks good & runs well too. 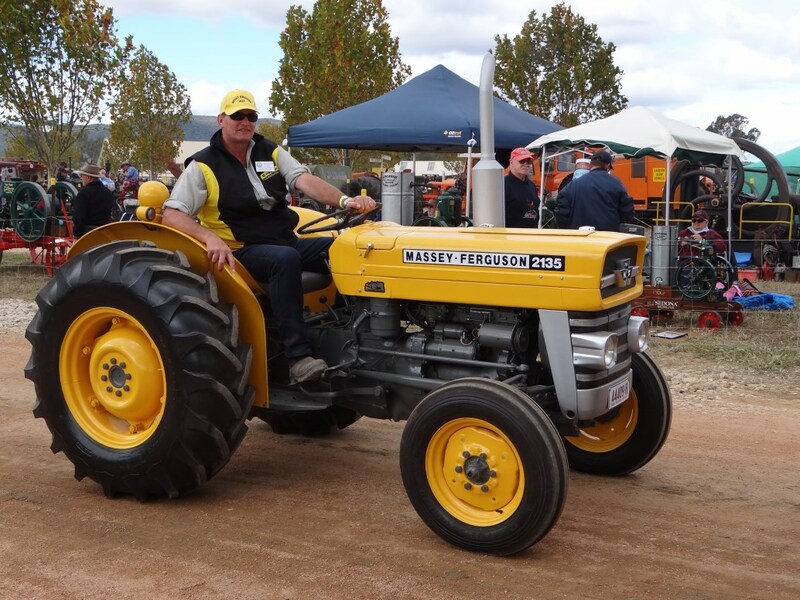 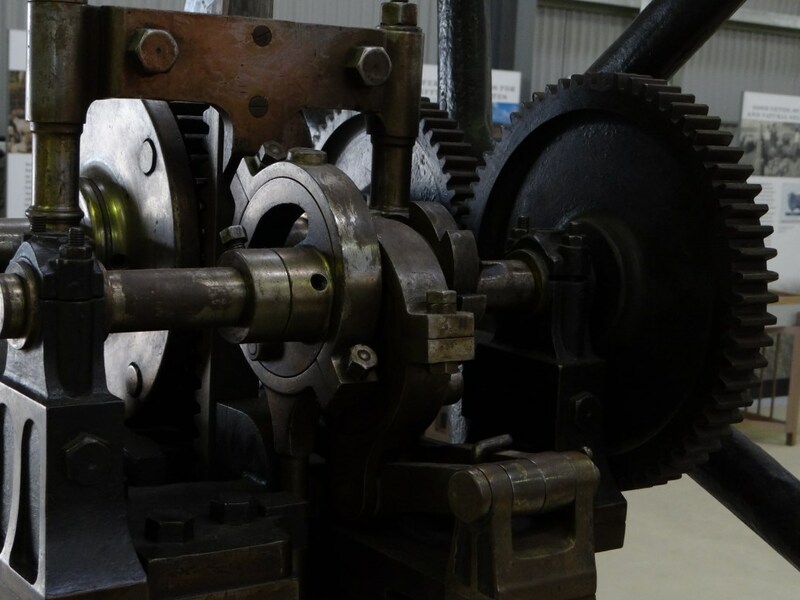 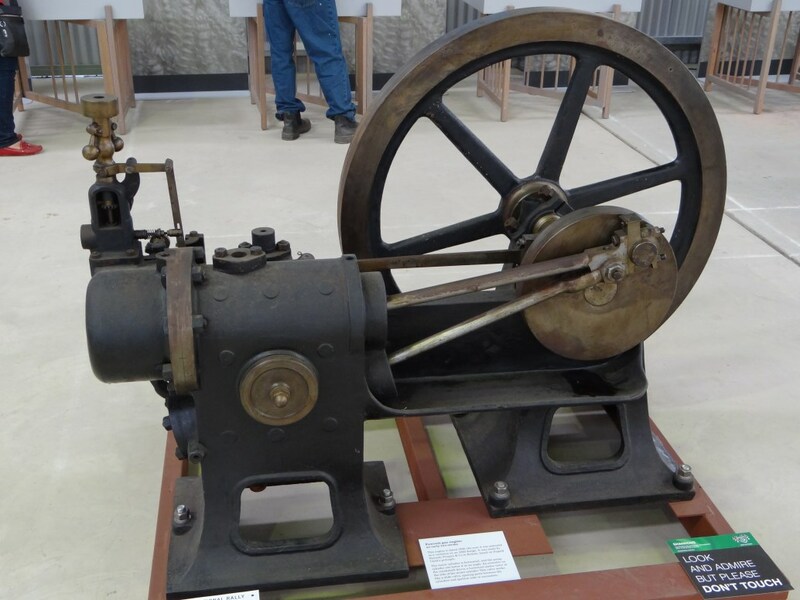 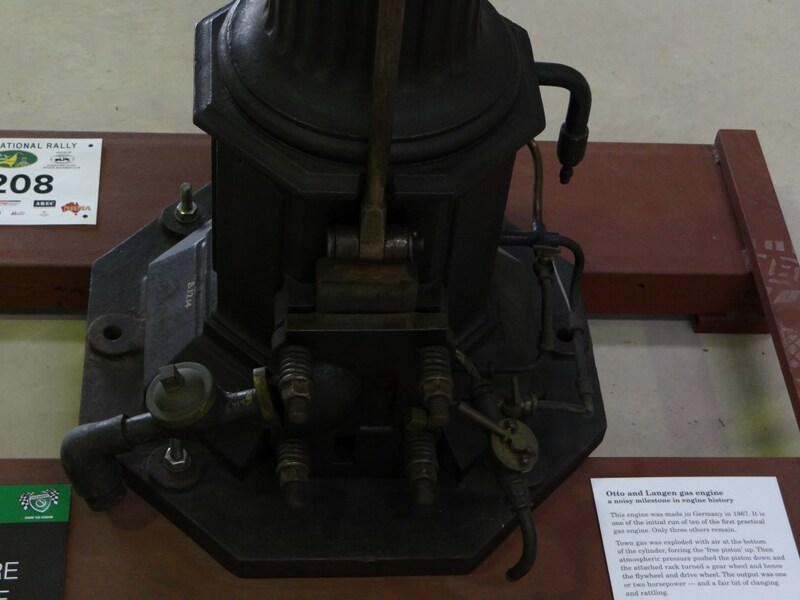 Johns "Industrial" Massey. 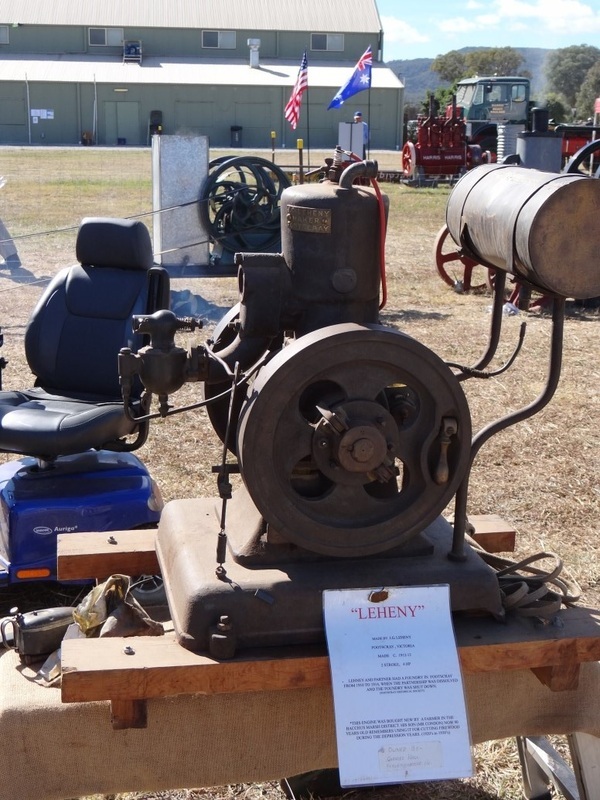 Still under warranty? 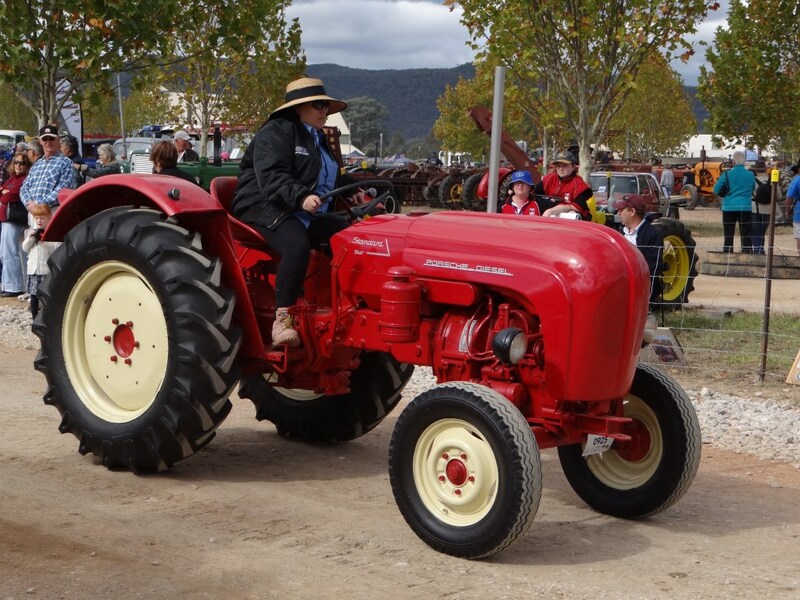 Our club's "Pin-Up Girl" needs no introduction. 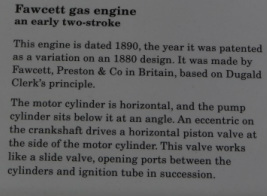 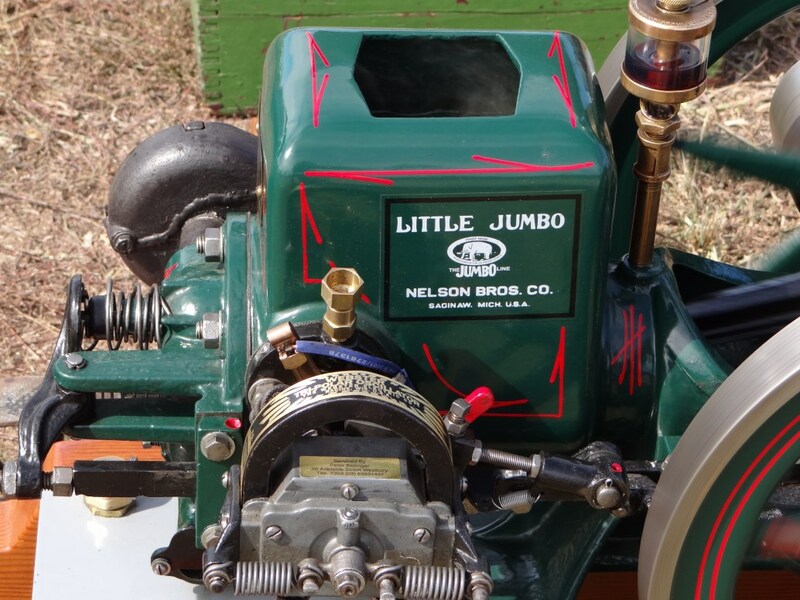 Dave & Marlene's "Little Jumbo" was probably the most highly detailed engine there and justifiably drew lots of attention. 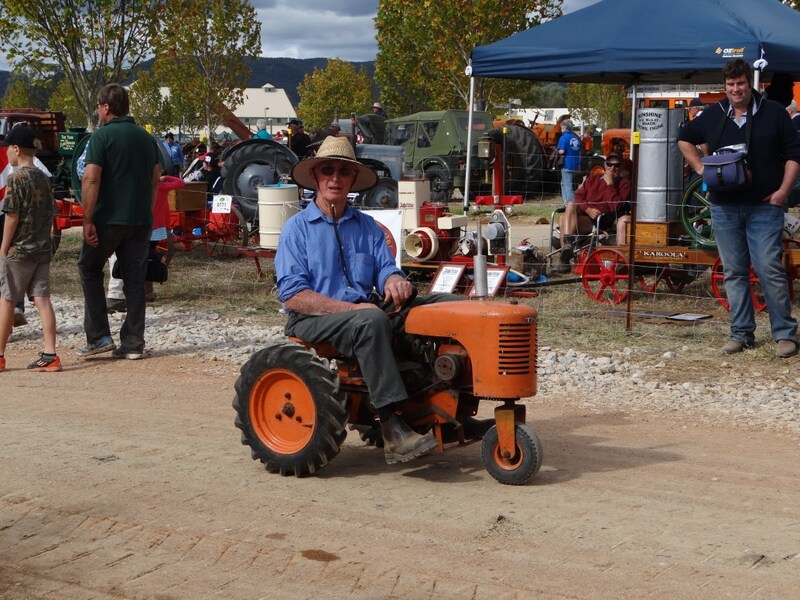 and its proud owner, Mike. 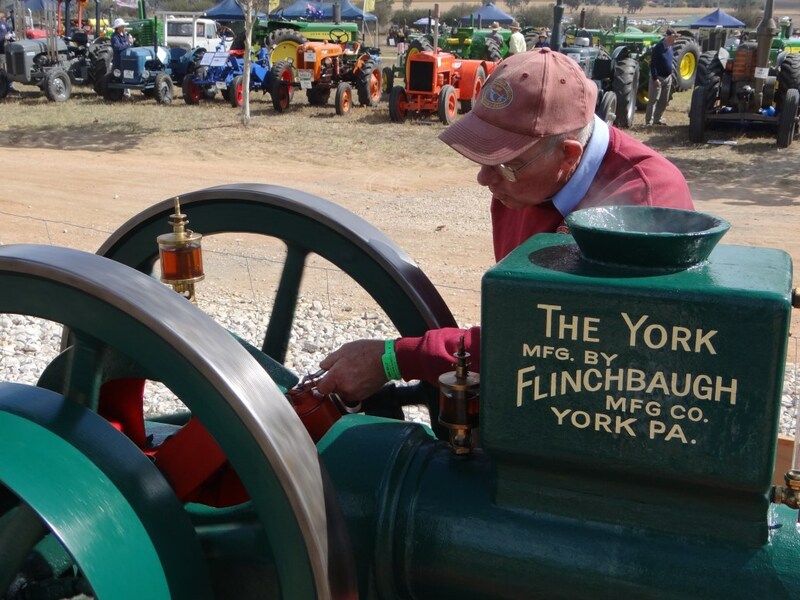 For all 3 days, Mal tendered the old York with much care. 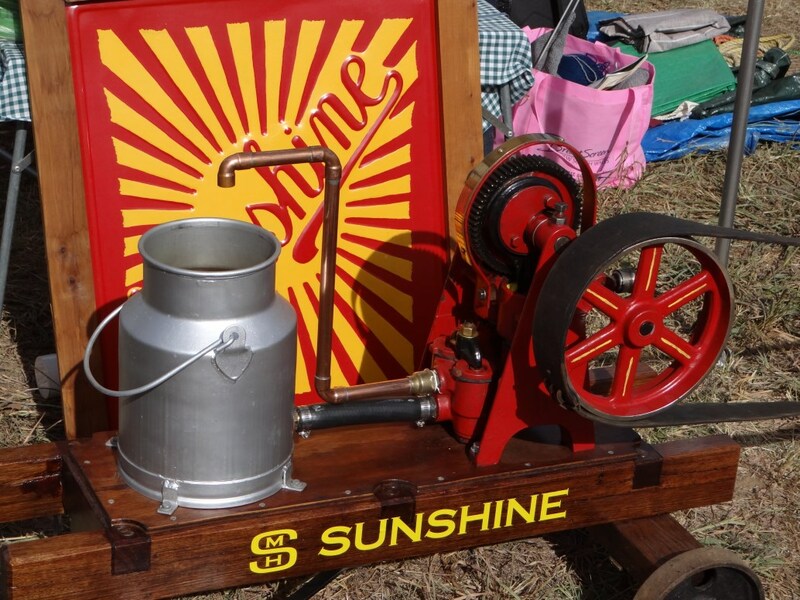 1st outing for Rob Patterson's freshly restored 3hp Sunshine. 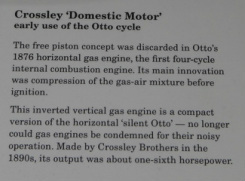 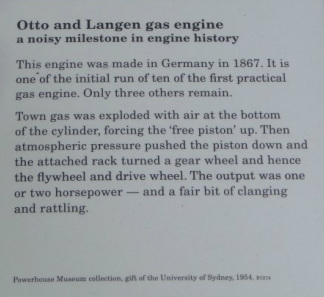 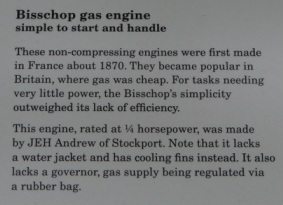 It ran fairly well then gave up the ghost, thanks to an "Ethanol Accident". 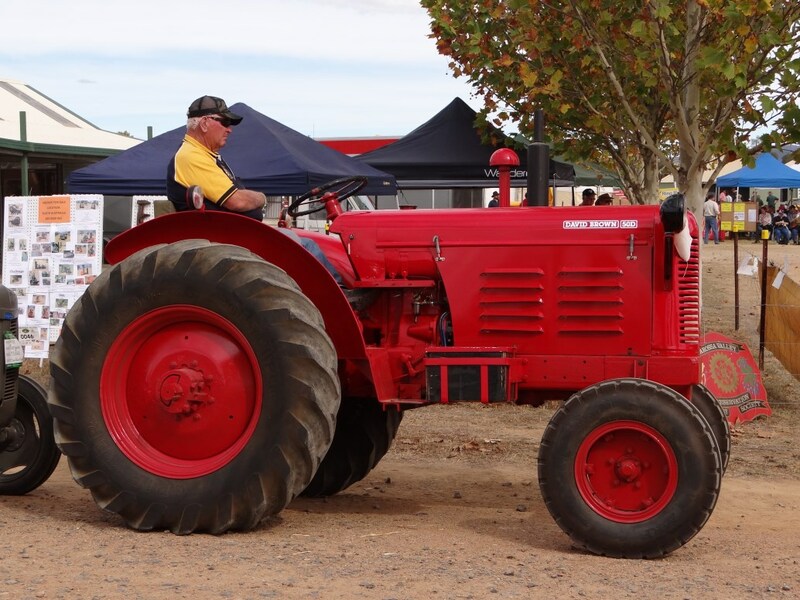 Nelson waved the flag "bigtime" for us all weekend. 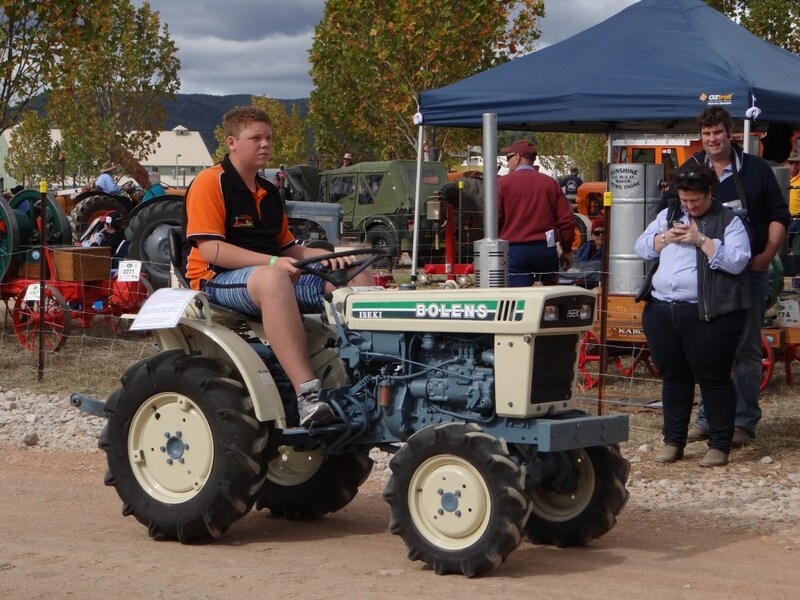 Well Done Lad. 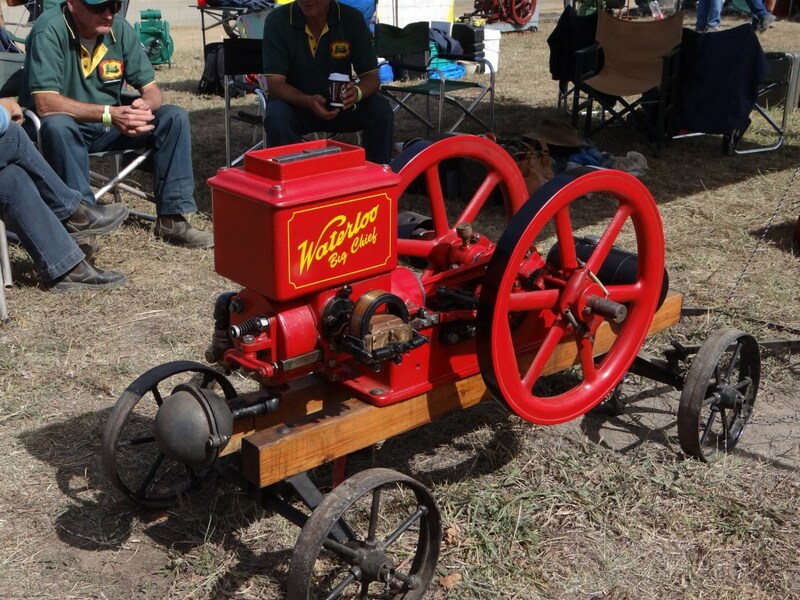 Greg McNeice (Rally Badges) stopped..
"Yep Greg, she's out of Go-Juice"
"Little Wonder" built by Schmitt & Co.